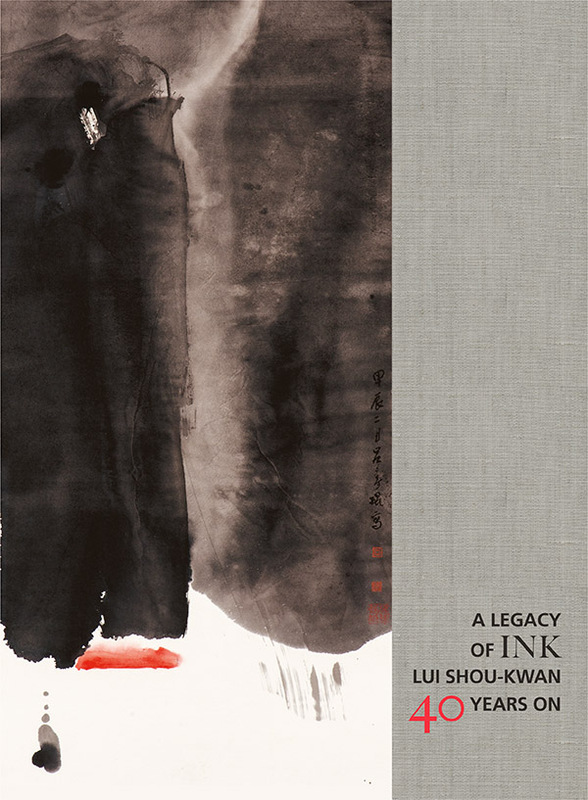 The date of this publication, Pioneer of New Ink, marks 100 years since the birth of Lui Shou-kwan, the father of the New Ink Movement and principal artist within the history of our gallery. 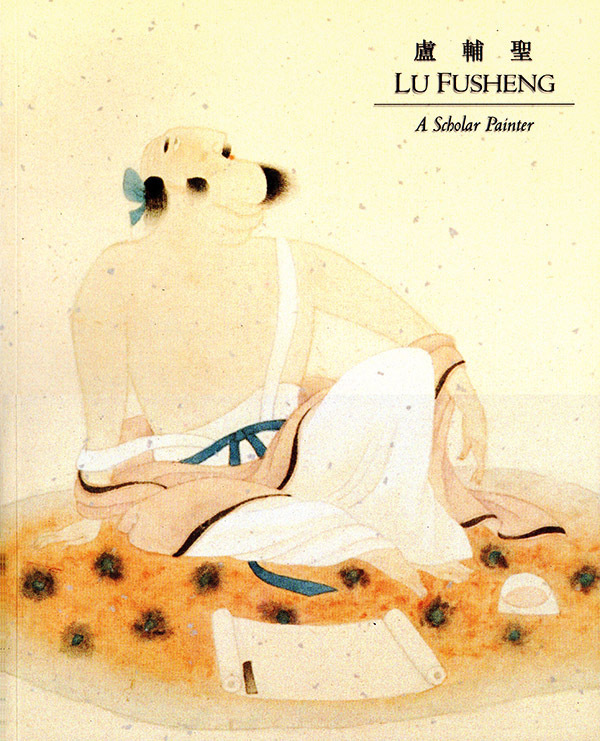 The hardcover book includes over twenty colour plates from paintings spanning from 1957-1974 and scholarly essays contributed by Dr. Ellen Huang, art historian and curator for the Cantor Arts Center, Stanford University, Shelagh Vainker, Associate Professor of Chinese Art and Curator of Chinese Art at the Ashmolean Museum, and Daphne King Yao, Director of Alisan Fine Arts. 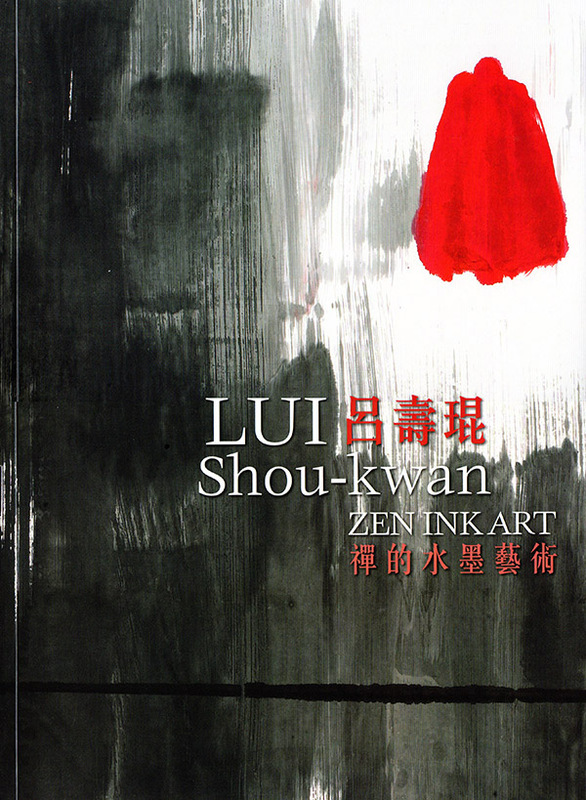 Published in conjunction with the exhibition "A Legacy of Ink: Lui Shou Kwan 40 Years On: An Exhibition of Lui Shou Kwan, His Students and a New Generation of Artists" at the Hong Kong Arts Centre in 2015. Includes a foreword by Daphne King Yao, Director of Alisan Fine Arts; Essays by Tang Hoi-chiu, Former Chief Curator of the Hong Kong Museum of Art and Adjunct Professor of the Academy of Visual Arts Hong Kong Baptist University, Pi Daojian, Deputy Director of Curatorial Committee Chinese Artists Association, Shelagh Vainker, Associate Professor of Chinese Art and Curator of Chinese Art, Ashmolean Museum, University of Oxford. All content in Chinese and English. 63 colour plates, 192 pages, hard cover. 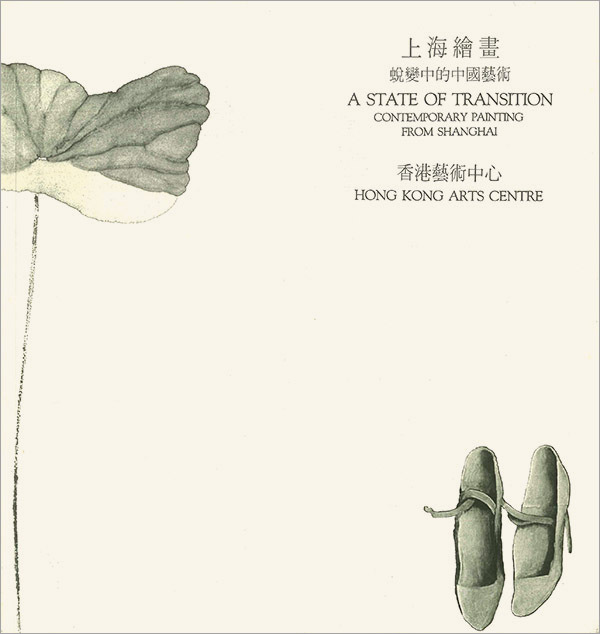 Published in conjunction with the exhibition "A State of Transition: Contemporary Painting From Shanghai" held at the Hong Kong Arts Centre in 1987. Includes an introduction by Michael Chen, Galleries Director of the Hong Kong Arts Centre, and Alice King, Director of Alisan Fine Arts, with essays by Tao Ho and Joan Lebold Cohen. All content in Chinese and English. 14 colour plates, 48 pages, soft cover. As part of our 35th Anniversary celebration, a monograph has been published dedicated to the gallery’s history, the artistic milieu (from 1980-2016 in Hong Kong), and Director Alice King’s accomplishments. Over 50 artists’ works that were placed in important museum and private collections, including the Ashmolean Museum of Art and Archeology, Oxford University and the Fine Arts Museum, Boston, are included. 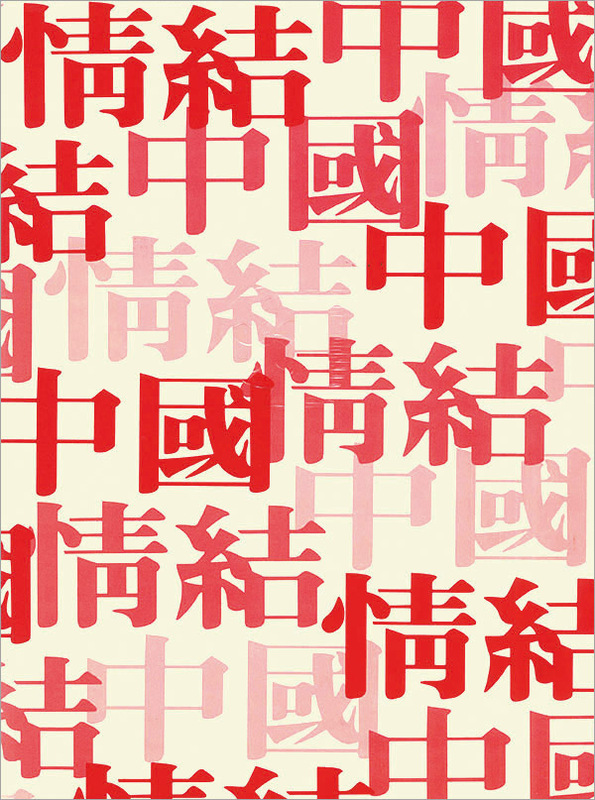 Alongside the works are essays by important academics, curators and collectors of Chinese contemporary art. Of note are the essays by Catherine Maudsley covering the gallery's history, and the interviews with artists and their families (such as Walasse Ting's and Lui Shou-kwan's children, Zao Wou-ki’s and Chu Teh-chun's wives), with reflections by artists Wang Tiande, Wei Ligang, Gao Xingjian and Xu Lei. Numerous pages of the book are also devoted to the artists and their relationship with the gallery, with the inclusion of primary sources such as photographs and hand-written letters pulled from our archives. Contributors include Tang Hoi-chiu, Mayching Kao, Julia F. Andrews, Martina Köppel-Yang, Jeffrey Wechsler, Lars Berglund, and Tiffany Beres. Collectors Victor Lo and David Pong also offer their thoughts on the role of Alisan Fine Arts in introducing Chinese contemporary art to the Hong Kong public. 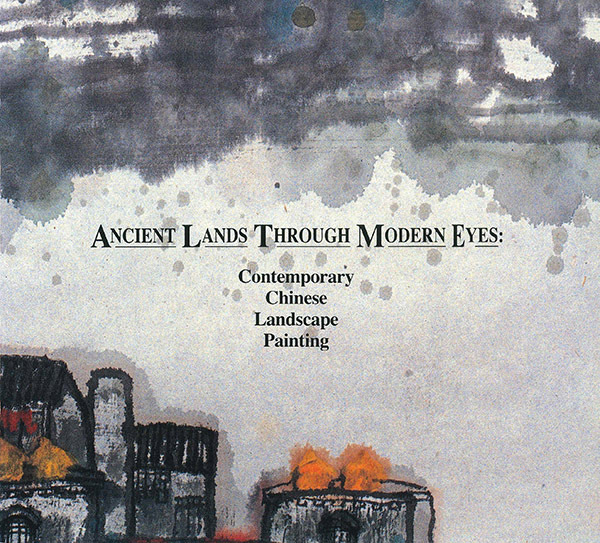 Published in conjunction with the exhibition "Ancient Lands through Modern Eyes: Contemporary Chinese Landscape Painting" held at Alisan Fine Arts in 1992. Featuring artists are Ding Guanjia, Liu Pu, Lu Yushun, Zhao Zhunwang, Lai Shaoqi, Lin Ximing, Li Huasheng. Includes biographical information about each artist, in English. 39 colour plates, 36 pages, soft cover. 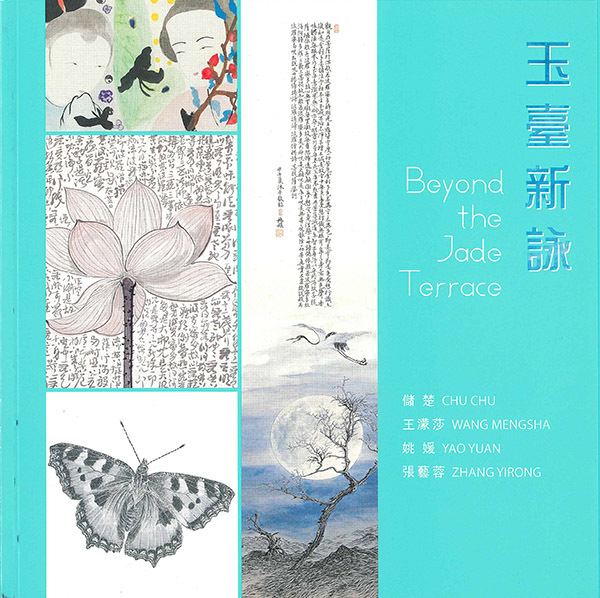 Catalogue published in conjunction with the exhibition "Beyond the Jade Terrace". Featuring ink paintings of four outstanding young female artists from China — Chu Chu, Wang Mengsha, Yao Yuan and Zhang Yirong. Foreword by Daphne King Yao, essays by Tiffany Beres, curator of the exhibition. All content in Chinese and English. 19 colour plates, 72 pages, soft cover. 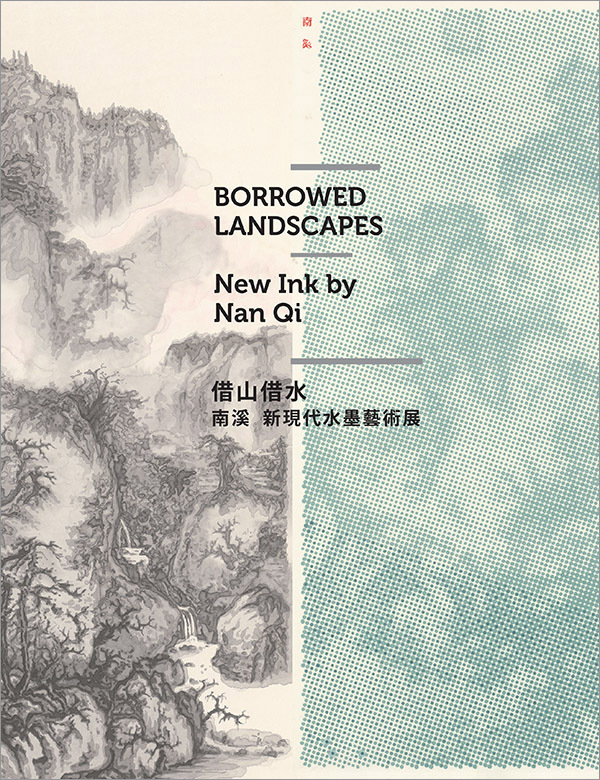 This catalogue complete with 18 colour plates was written to accompany the 2019 solo exhibition "Nan Qi: Borrowed Landscapes." 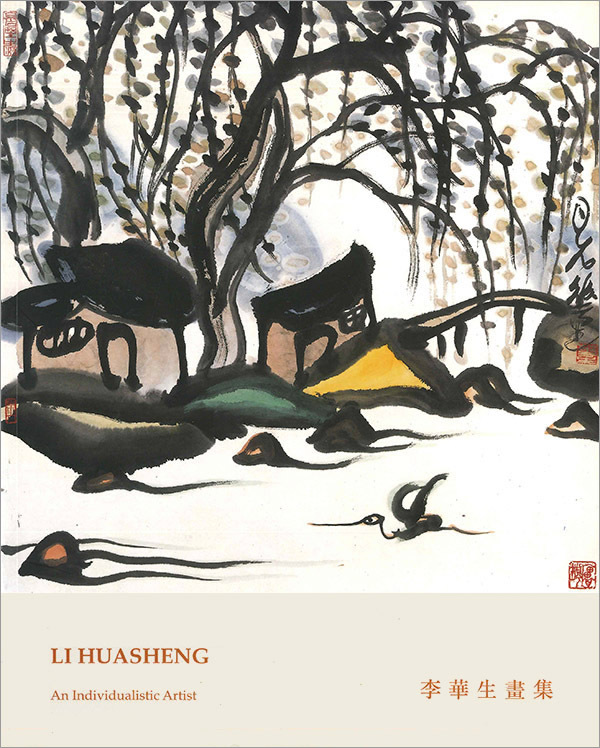 Complete with an introductory essay by the scholar Zhu Qi from the China Academy of Art and detailed caption information provided by the artist. 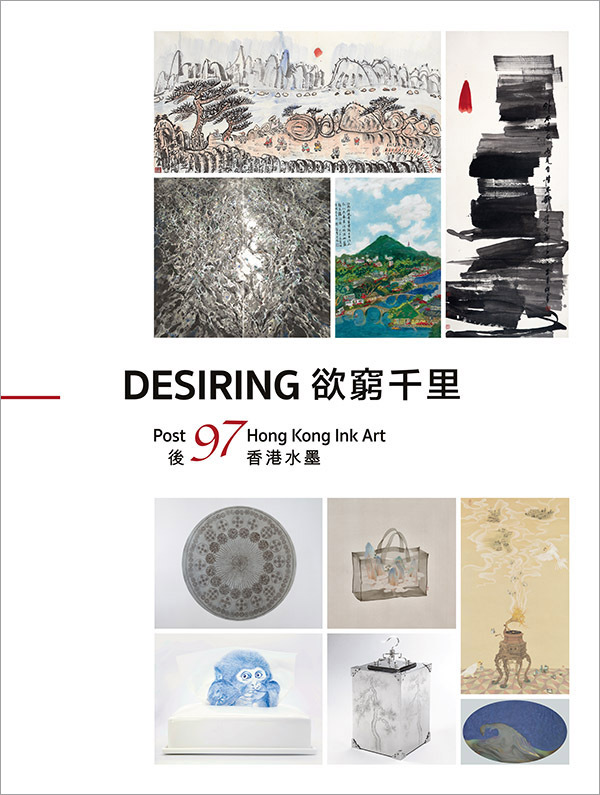 Published in conjunction with the exhibition "Desiring: Post 97 Hong Kong Ink Art" held in 2017 at Alisan Fine Arts. Includes a foreword by Daphne King Yao, Director of Alisan Fine Arts, a curatorial statement by Leung Shiu-kee Eric, co-curator of the exhibition, and an essay by Tang Hoi-chiu. All content in Chinese and English. 16 colour plates, 51 pages, soft cover. 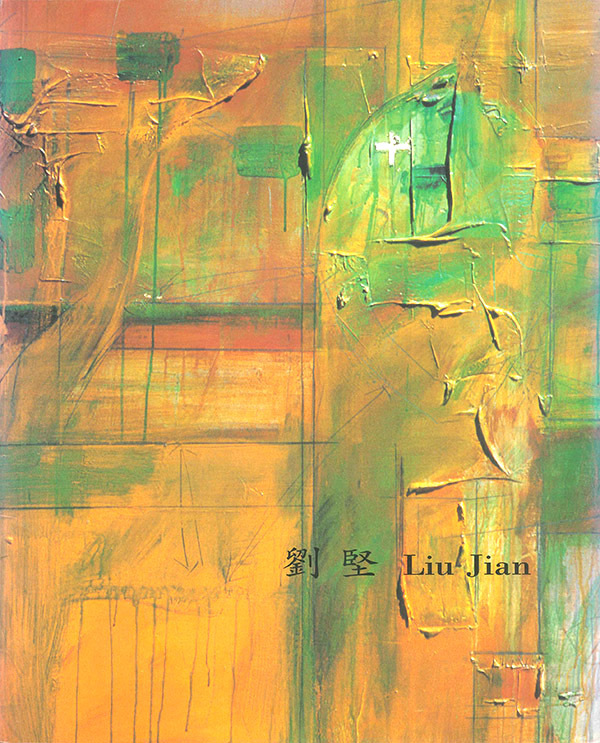 Published in conjunction with the exhibition "I Am in It: Contemporary Chinese Art Expressions" a four-person exhibition: Shao Yan, Pu Lieping, Lan Zhenghui, Yiliao, first held at Florida Gulf Coast University, United States from January to February 2008, before travelling to Alisan Fine Arts. Includes a preface by Alice King, Director of Alisan Fine Arts, foreword by Wilson G. Bradshaw, President of Florida Gulf Coast University, with essays by Zhang Yiguo,curator, and Chai Zhongjian. All content in Chinese and English. 45 colour plates, 188 pages, soft cover. 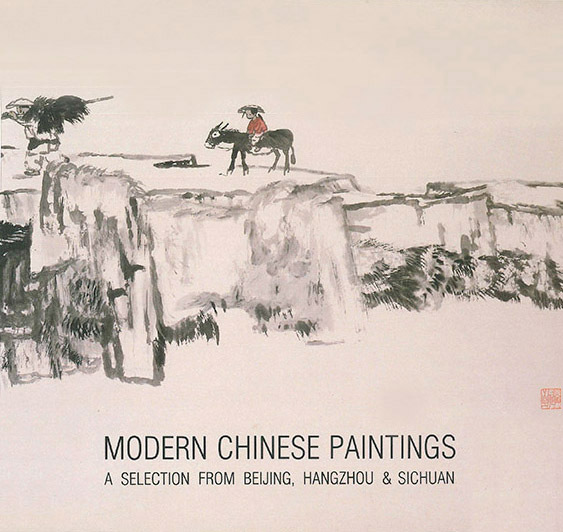 Published in conjunction with the exhibition "Modern Chinese Paintings: A Selection From Beijing, Hangzhou and Sichuan" held at the Hong Kong Arts Centre in 1989. 18 colour plates, 16 pages, soft cover. 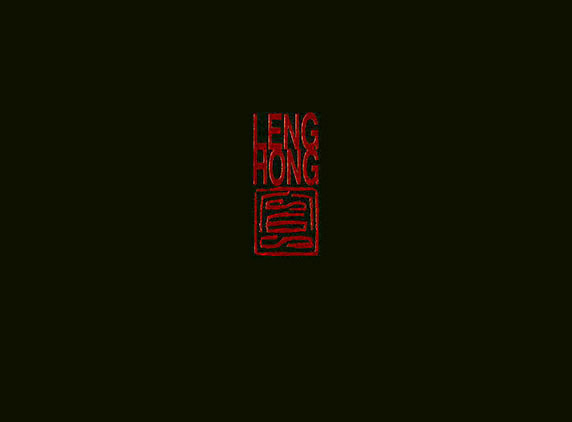 Published in conjunction with the exhibition "New Direction in Contemporary Chinese Tapestry" held at the Hong Kong Arts Centre in 1988. 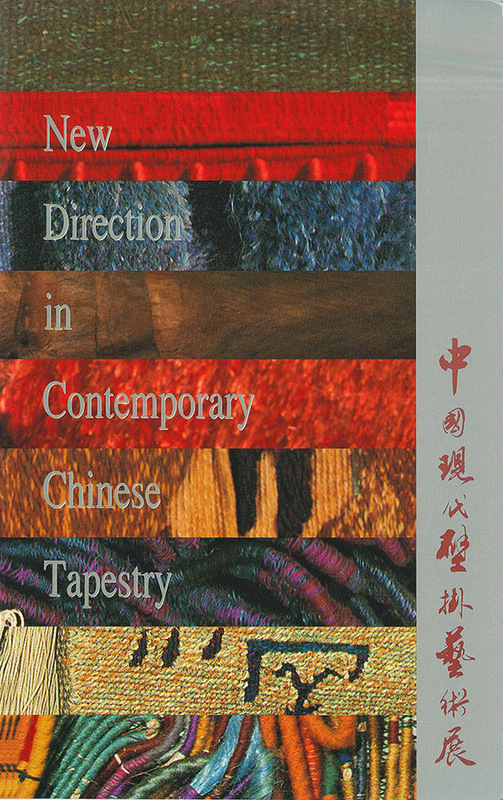 Includes a foreword by Oscar Ho Hing-kay, Exhibition Director, Hong Kong Arts Centre, with essays by Alice King, Director of Alisan Fine Arts, Maryn Varbanov, Chairman, Institute of Art Tapestry Varbanov, Zhejiang Academy of Fine Arts, Zhejiang Aesthetic Carpet Factory, Ouyang Ying, Zhejiang Academy of Fine Arts. All content in Chinese and English. 10 colour plates, 20 pages, soft cover. 41 colour plates, 56 pages, soft cover. Published in conjunction with Fine Art Asia 2015. Includes an introduction by Daphne king Yao in Chinese and English. 8 colour plates, 12 pages, soft cover. 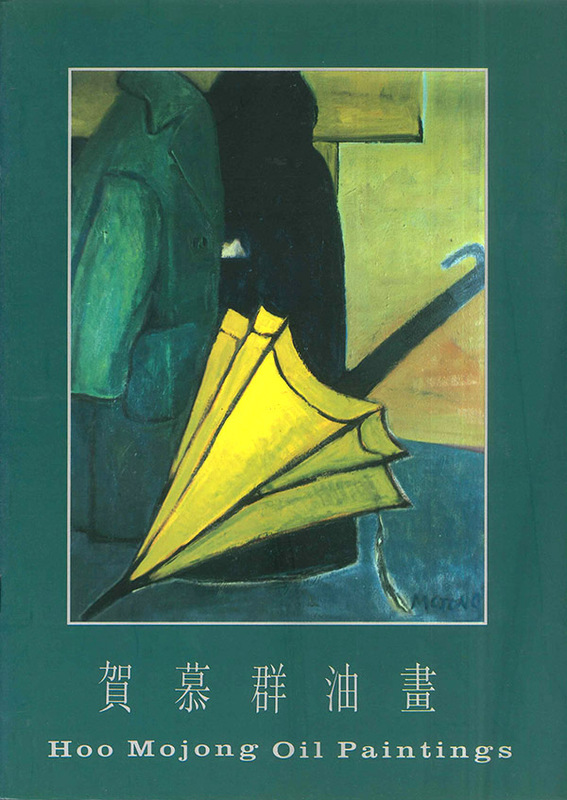 Published in conjunction with the exhibition "The Chinese Root: Works by Mainland and Overseas Chinese Artists" held at the Shanghai Art Museum in 1997. 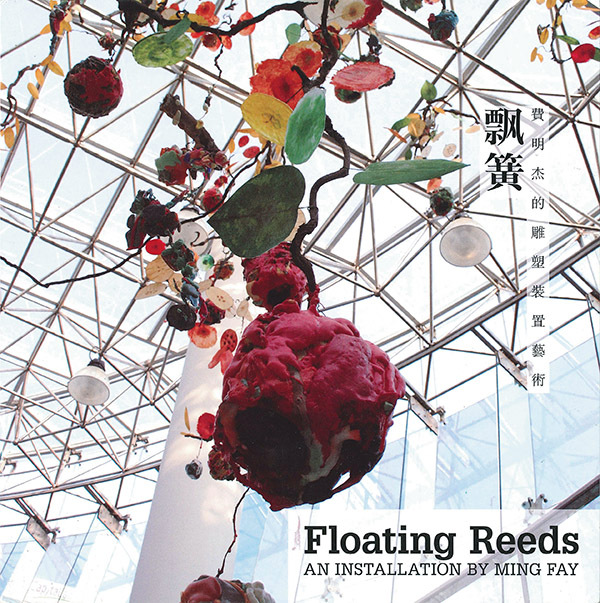 Includes essays by Alice King, Director of Alisan Fine Arts, and Li Xu. All content in Chinese. 75 colour plates, 48 pages, soft cover. 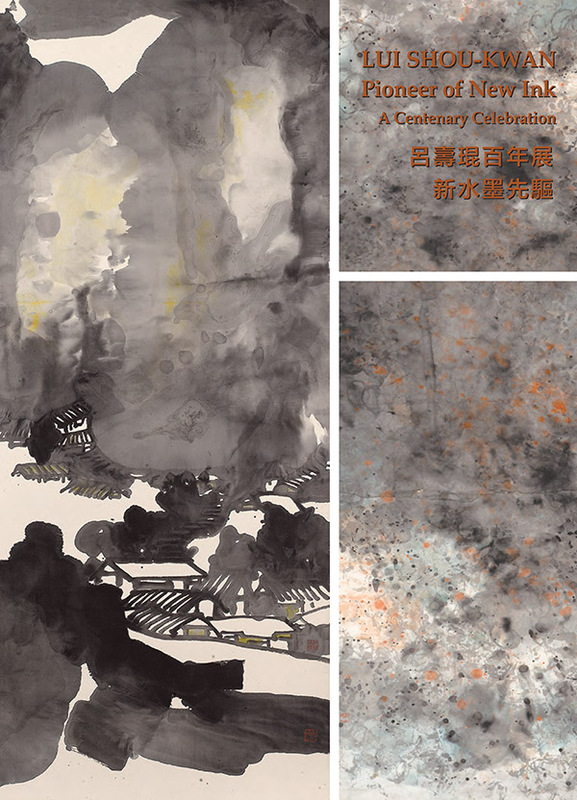 Published in conjunction with the exhibition "The Poetic Visions: Poetry, Calligraphy, Painting by Wucius Wong and Pat Hui" held at Alisan Fine Arts in 2005. Includes a foreword by Alice King, and an essay by artist Pat Hui. All content in Chinese and English. 25 colour plates, 64 pages, soft cover. Published in conjunction with the exhibition "Between Two Cultures" held at the Hong Kong Arts Centre and Alisan Fine Arts in 1992. 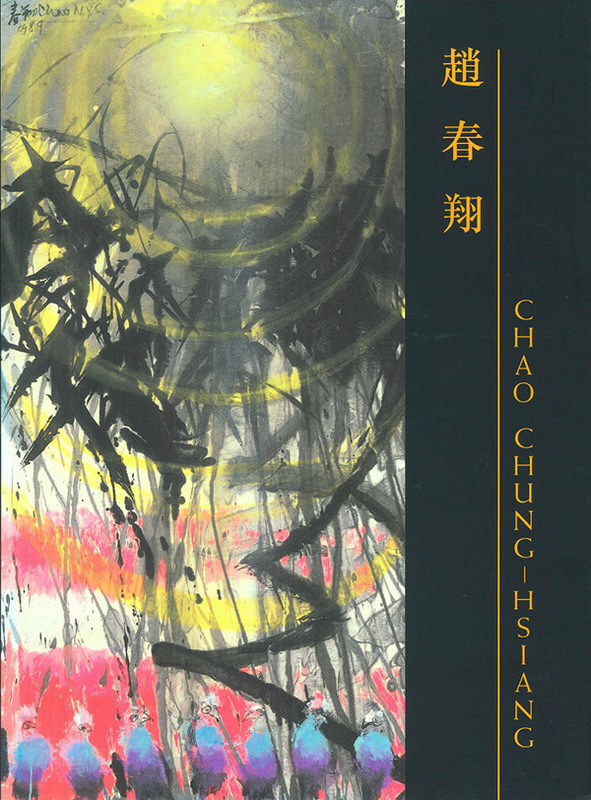 Includes a foreword by Alice King with essays by Chuang Shen (Academia Sinica, Taipei, Taiwan); Roger Goepper (University of Cologne, Germany); Hsiao Chong-ray (Instructor, Department of History, National Cheng Kung University); Robert Moes (Curator of Oriental Art, The Brooklyn Museum, New York) and Chao Chung-hsiang. All content in English and Chinese. 128 colour plates, 292 pages, hard cover. Published in conjunction with the exhibition "The Art of Enlightened Pleasure" held at Alisan Fine Arts in 1997. 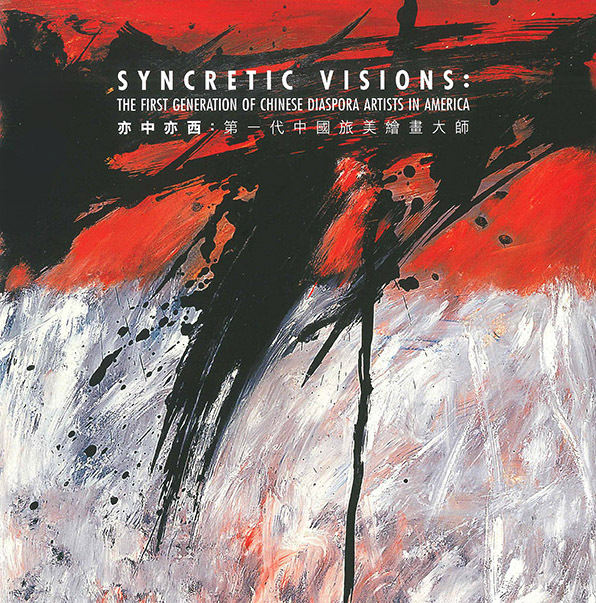 Includes a foreword (English & Chinese) by Alice King with essays by Jeffrey Wechsler, curator at the Jane Voorhees Zimmerli Art Museum, The State University of New Jersey at Rutgers (English & Chinese); Lang Shao-jun, a specialist on modern Chinese art from Beijing (Chinese); Jeffrey Hantover, an art critic in Hong Kong (English), and Zhao Hung (Chinese). 184 colour plates, 225 B/W plates, 186 pages, soft cover. 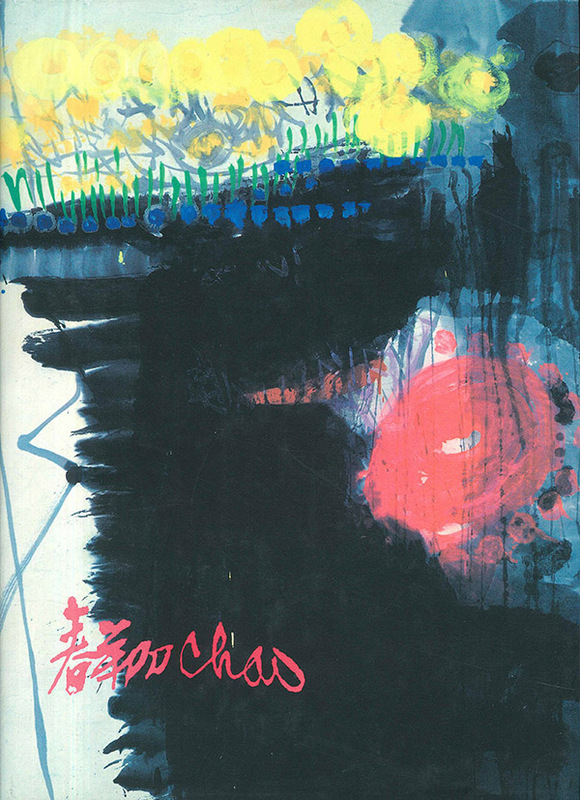 Published in conjunction with the travelling exhibition "Chao Chung-hsiang (1910-1991) His Singular Legacy" held at Zhejiang West Lake Art Museum, Hong Kong Arts Centre, Alisan Fine Arts and Club 21 Singapore in 1999-2000. 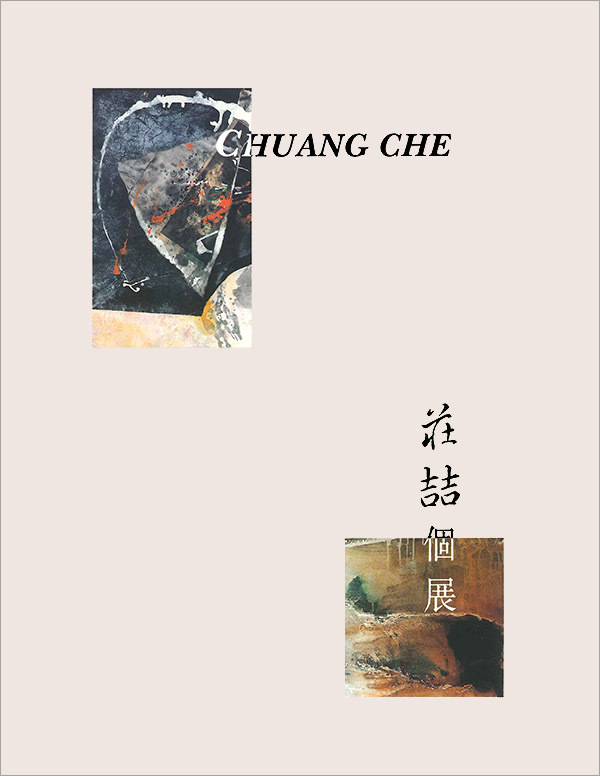 Includes a foreword (English & Chinese) by Alice King with essays by Chuang Shen, Academia Sinica, Taipei, Taiwan (Engish & Chinese); Julia Andrews, Professor of Art History at Ohio State University (English); and Chao Chung-hsiang (English & Chinese). Published in conjunction with the travelling exhibition "Love of the Cosmos: The Art of Chao Chung-hsiang", which was held at the National Art Museum of China, Beijing; Shanghai Museum of Art; Galerie Adler, Paris; Hong Kong Arts Centre; Alisan Fine Arts during 2004. Includes forewords by Yang Lidan (Chinese), Li Xiangyang (Chinese) and a foreword by Alice King (Chinese & English). Also features essays by Gao Minglu (Chinese & English), Julia F. Andrews (Chinese), David Clarke (English), Martina Köppel-Yang (English) and Gérard Henry (French). 82 colour plates, 124 pages, soft cover. 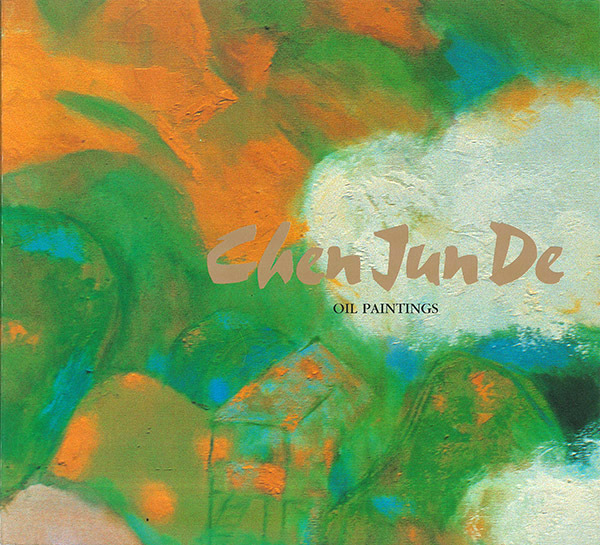 Published in conjunction with the exhibition "Chen Junde: Oil Paintings" held at Alisan Fine Arts in 1991. Includes a translated article by Shum Lou Jian in English. 42 colour plates, 68 pages, soft cover. 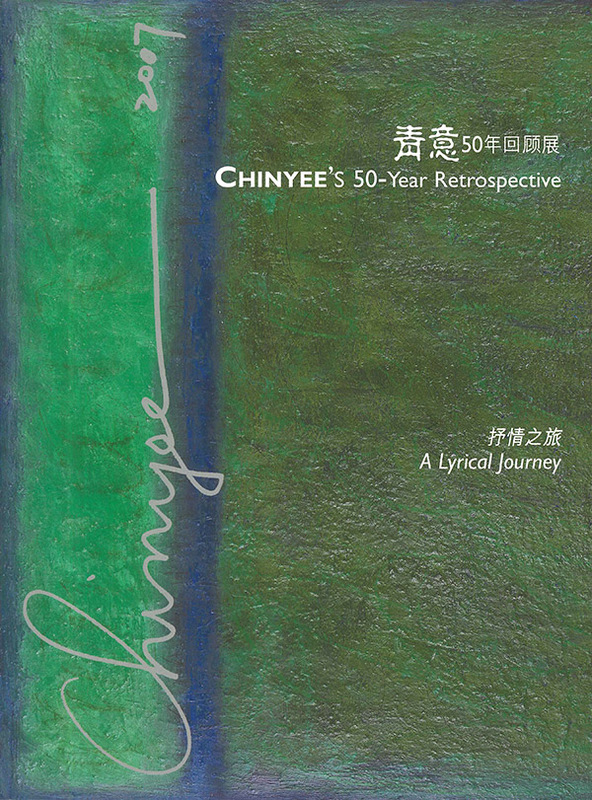 Published in conjunction with the exhibition "Chinyee's 50-Year Retrospective: A Lyrical Journey" held at the Shanghai Art Museum and at Alisan Fine Arts in 2007. 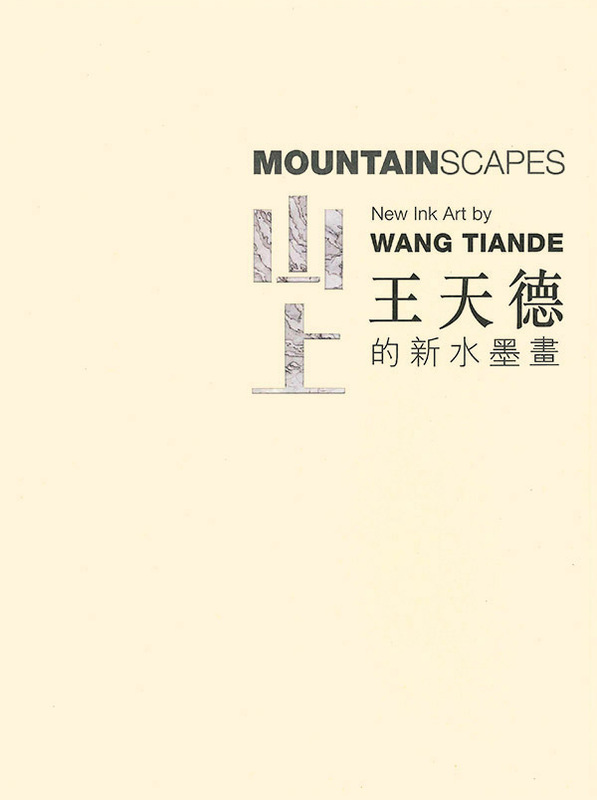 Includes a preface by Li Lei, Director of the Shanghai Art Museum, foreword by Alice King, Director of Alisan Fine Arts, and essays by Jeffrey Wechsler, Senior Curator at the Jane Voorhees Zimmerli Art Museum, Rutgers University, Gao Dong, Associate Professor at the Research Center for Fine Arts, School of Architecture at Tsinghua University, Beijing, and William Zimmer, Contributing Art Critic to the New York Times. All content in Chinese and English. 110 colour plates, 144 pages, soft cover. 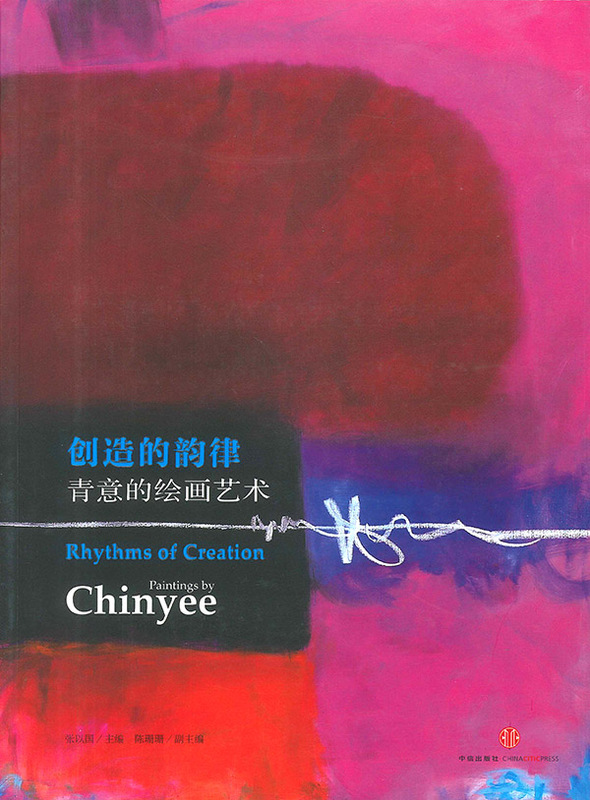 Published in conjunction with the "Rhythms of Creation: Paintings by Chinyee" at the Hong Kong Arts Centre and Alisan Fine Arts in 2013. 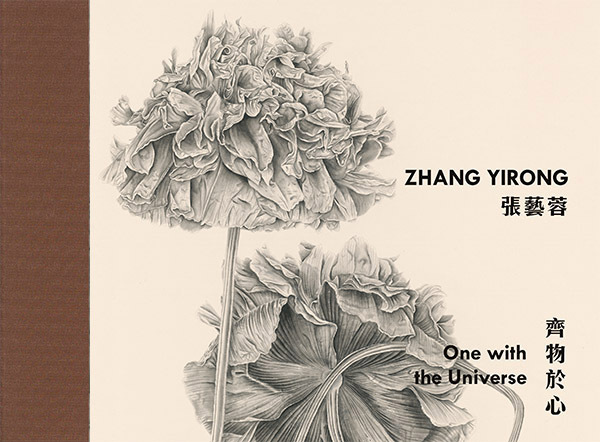 Includes a foreword by Alice King, Director of Alisan Fine Arts, and essays by Jeffrey Wechsler, Senior Curator at the Zimmerli Art Museum, Rutgers University, Zhang Yiguo, and an interview between Zhang Yiguo and artist Chinyee. All content in Chinese and English. 44 colour plates, 190 pages, soft cover. 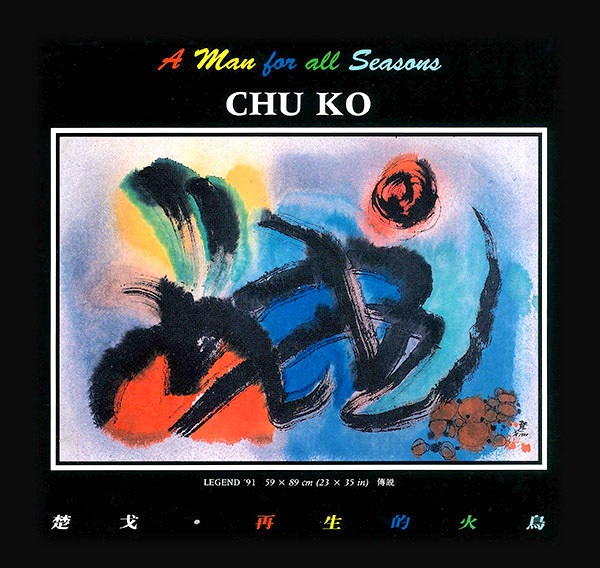 Published in conjunction with the exhibition "Chu Ko: A Man For All Seasons" held at Alisan Fine Arts in 1992. Includes an introduction by Richard Barnhart, Professor of Art History, Yale University. 14 colour plates, 14 pages, soft cover. 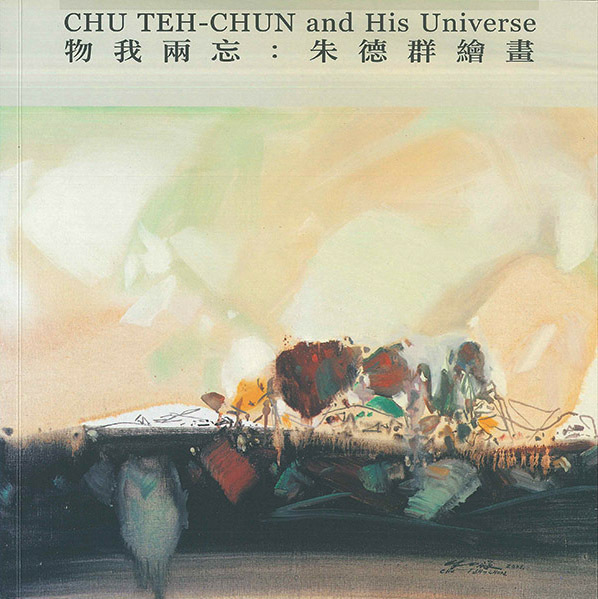 Published in conjunction with Le French May exhibition "Chu Teh-chun and His Universe"at University Museum and Gallery, The University of Hong Kong in 2004. Includes a foreword by Alice King. All content in Chinese and English. 19 colour plates, 46 pages, soft cover. 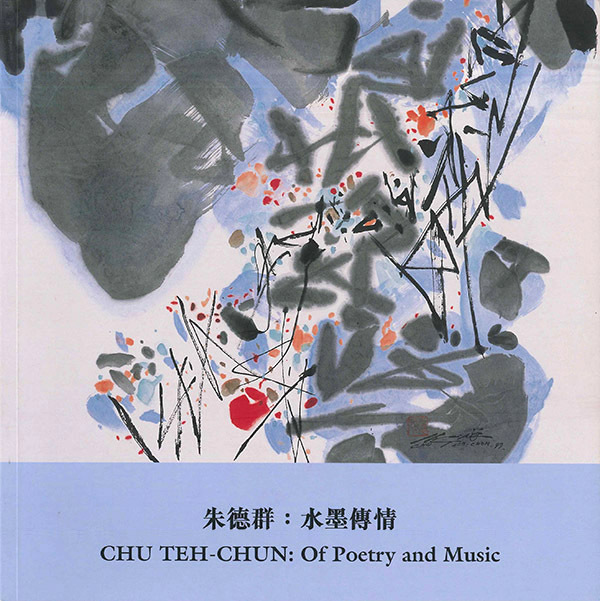 Published in conjunction with the exhibition "Of Poetry and Music: Ink Paintings by Chu Teh-chun " held at Alisan Fine Arts as part of Le French May in 1999. Includes a foreword by Alice King, Director of Alisan Fine Arts (Chinese & English) with an essay by Liao Qiongfang. 26 colour plates, 38 pages, soft cover. 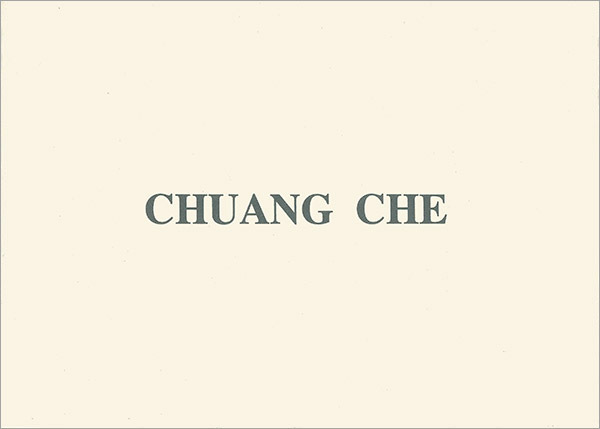 Published in conjunction with the exhibition "Chuang Che" held at Alisan Fine Arts in 1989. Includes biographical information about the artist. 23 colour plates, 28 pages, soft cover. 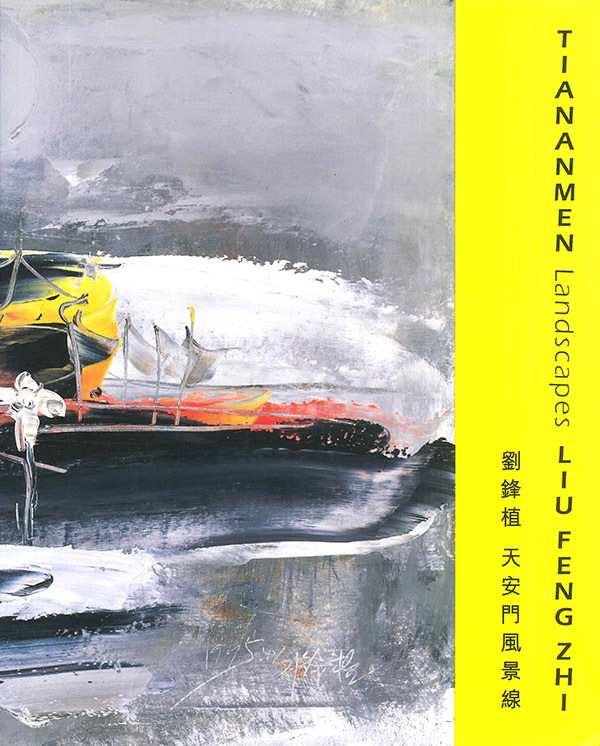 Published in conjunction with the exhibition "Chuang Che: Recent Landscapes" held at Alisan Fine Arts in 1993. Includes an introduction by Jeffrey Wechsler, senior curator at the Jane Vorhees Zimmerli Art Museum, Rutgers. 10 colour plates, 18 pages, soft cover. 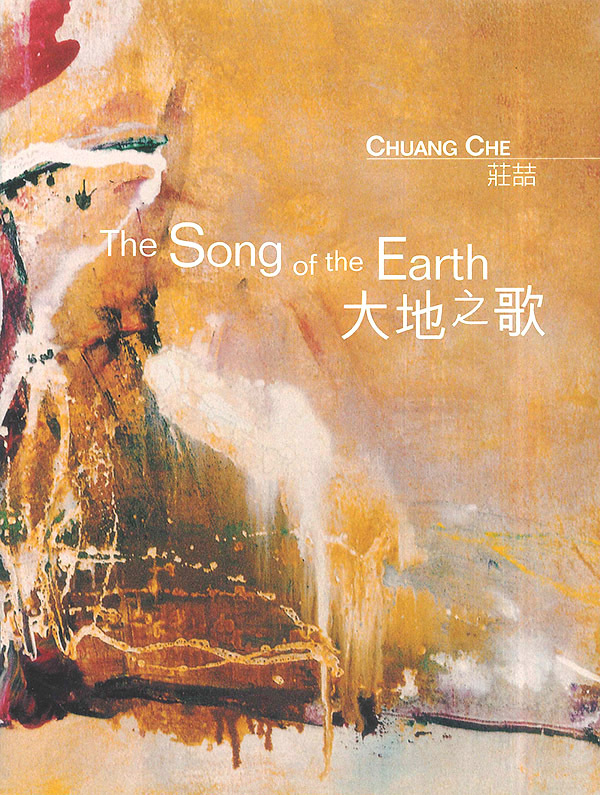 Published in conjunction with the exhibition "Chuang Che: The Song of the Earth" held at Alisan Fine Arts in 2002. Includes a foreword by Alice King, Director of Alisan Fine Arts (Chinese & English), with essays by Maggie Pai (English) and Chuang Che (Chinese). 16 colour plates, 24 pages, soft cover. 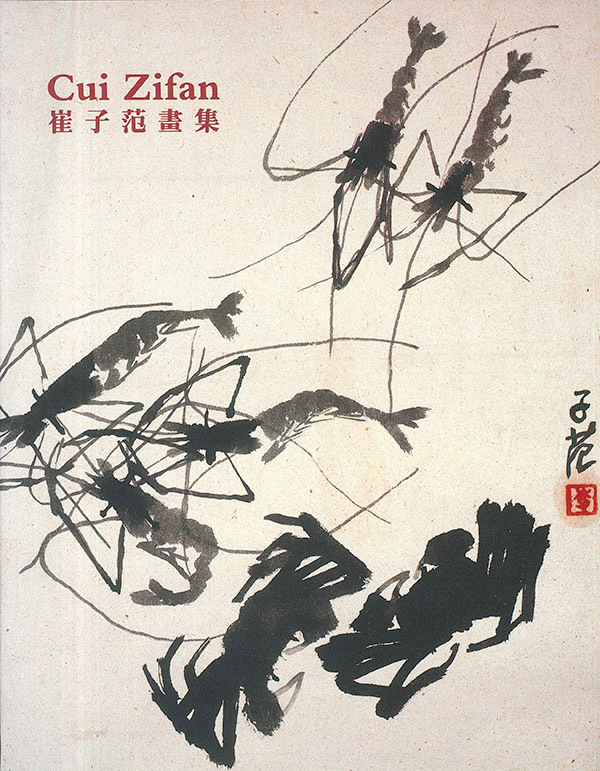 Published in conjunction with the exhibition "Cui Zifan: Master of the Unbridled Brush" held at Alisan Fine Arts in 1992. Includes a foreword by Alice King, Director of Alisan Fine Arts, and Professor Lars Berglund. All content in English and Chinese. 50 colour plates, 62 pages, soft cover. Published in 2012 for Fang Zhaoling’s solo exhibition at Fine Art Asia, Hong Kong. Includes preface (English and Chinese) by Alice King and essay (English) by Melissa J. Walt. 31 colour plates, 64 pages, soft cover. 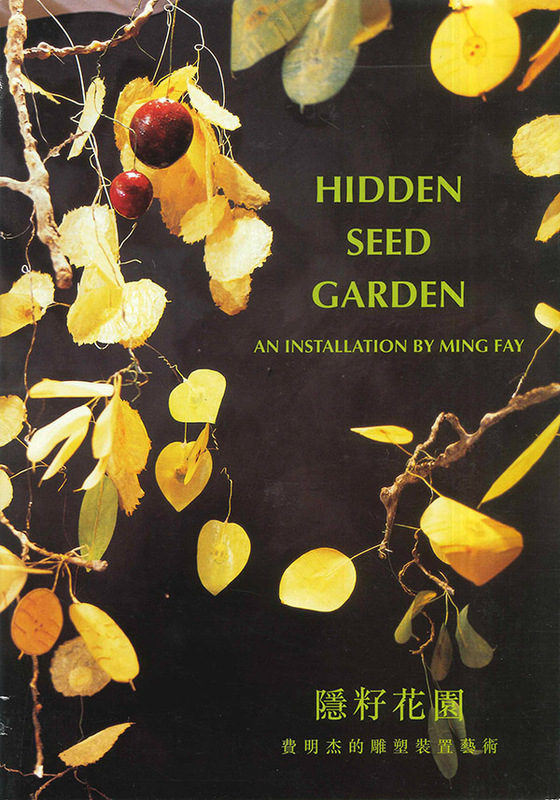 Published in conjunction with the exhibition "Hidden Seed Garden, An Installation by Ming Fay" held at Alisan Fine Arts in 2002. Includes a foreword by Alice King, Director of Alisan Fine Arts (Chinese & English) and essays by Arlene Raven (English) and Cong Zhiyuan (Chinese). 8 colour plates, 20 pages, soft cover. 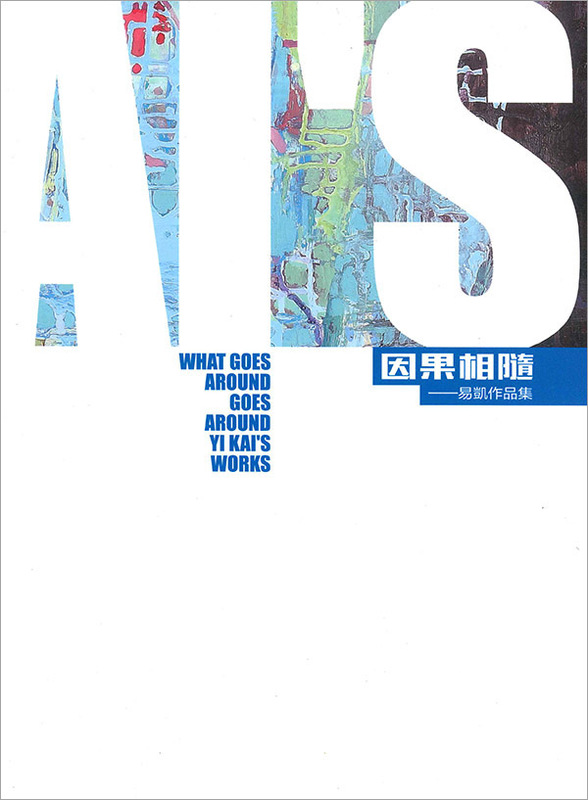 Published in conjunction with the exhibition "Recent Work, Fung Ming Chip" at Alisan Fine Art in 2006s. Includes a foreword by Alice King, Director of Alisan Fine Arts, and a essay by the artist Fung Ming Chip translated by Valerie C. Doran. All content in Chinese and English. 24 colour plates, 28 pages, soft cover. 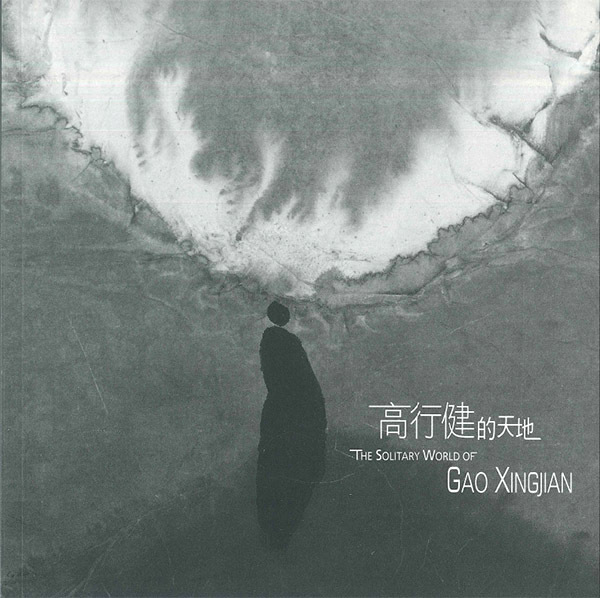 Published in conjunction with the New York exhibition "Gao Xingjian: Contemplating an Inner Vision". Includes a foreword by Alice King (Chinese & English) and an essay by the artist (English). 31 colour plates, 44 pages, soft cover. Published in conjunction with the exhibition "Gao Xingjian — Layers of Light, Ink in Mind" for Le French May 2016 at Alisan Fine Arts. Includes a foreword by Daphne King Yao, Director of Alisan Fine Arts, and an essay by Liu Zaifu, Chinese writer and literary critic. All content in Chinese and English. 12 colour plates, 44 pages, soft cover. 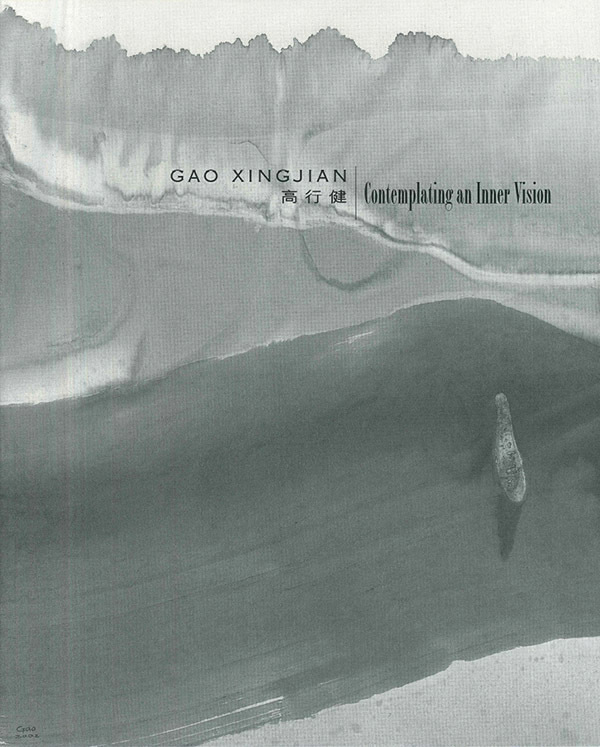 Published in conjunction with the exhibition "New Work by Gao Xingjian 2007-2008" for Le French May 2008 and the Gao Xingjian Arts Festival organised by the Chinese University of Hong Kong. Includes a foreword by Alice King and an essay by the artist. All content in Chinese and English. 25 colour plates, 48 pages, soft cover. 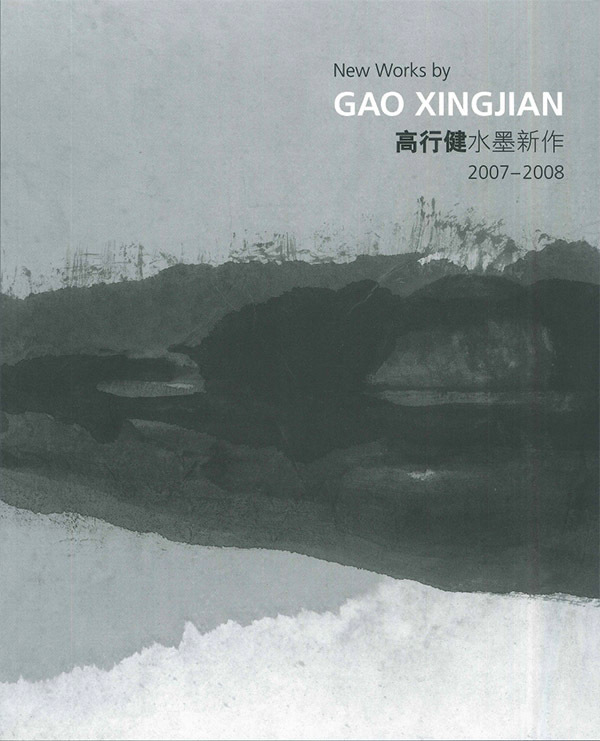 Published in 2001 to mark Gao Xingjian receiving the Nobel Laureate in Literature, and the exhibition "New Works by Gao Xingjian" in 2002 at Alisan Fine Arts. Features a preface by Michael Sullivan and foreword by Alice King. All content in Chinese and English. 17 colour plates, 28 pages, soft cover. 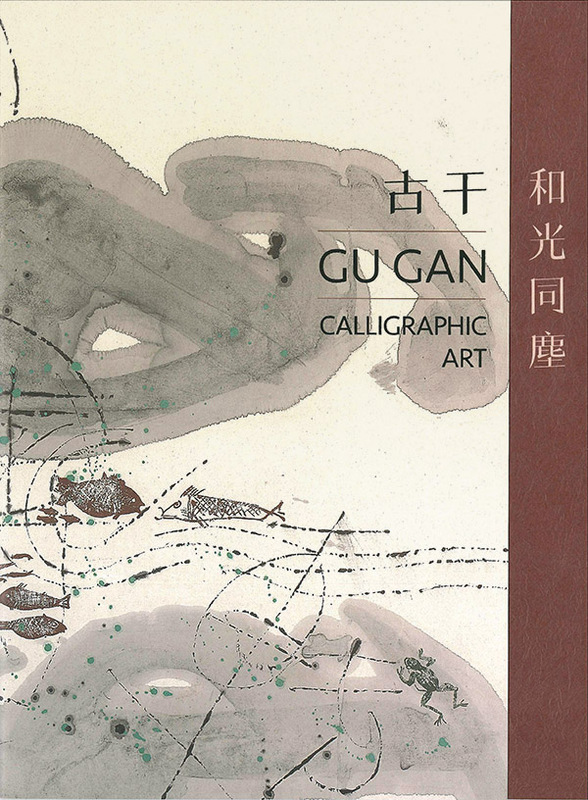 Catalogue published in conjunction with Gu Gan's solo exhibition "Calligraphic Art — Gu Gan". Foreword by Daphne King Yao and article by Mr Pu Lieping. All content in Chinese and English. 20 colour plates, 60 pages, soft cover. 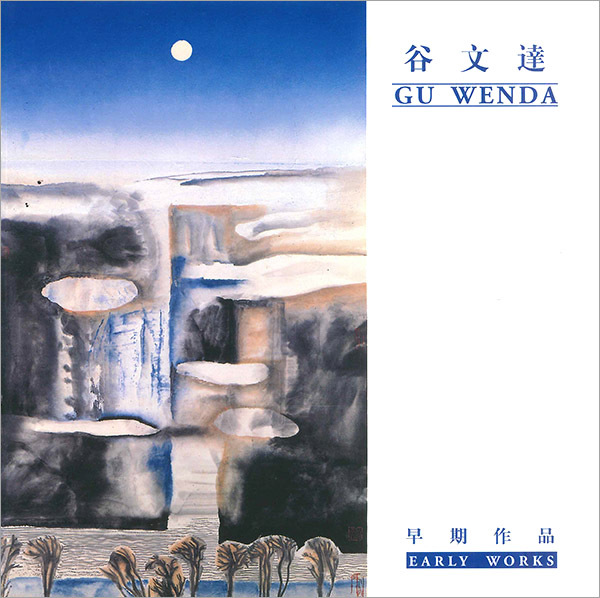 Published in conjunction with the joint exhibition held at Alisan Fine Arts in 2000 for Gu Wenda, Wang Tiande and Li Shan. 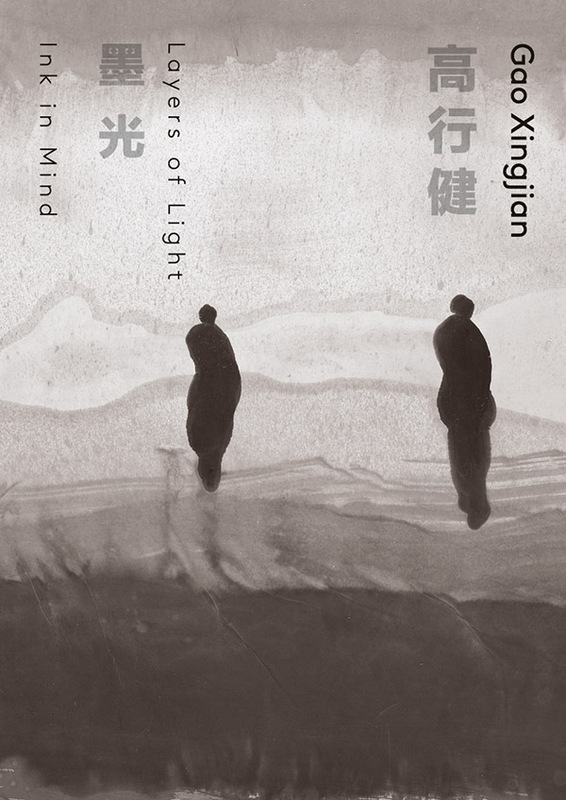 Includes a foreword in Chinese & English by Alice King, Director of Alisan Fine Arts. 10 colour plates, 12 pages, soft cover. 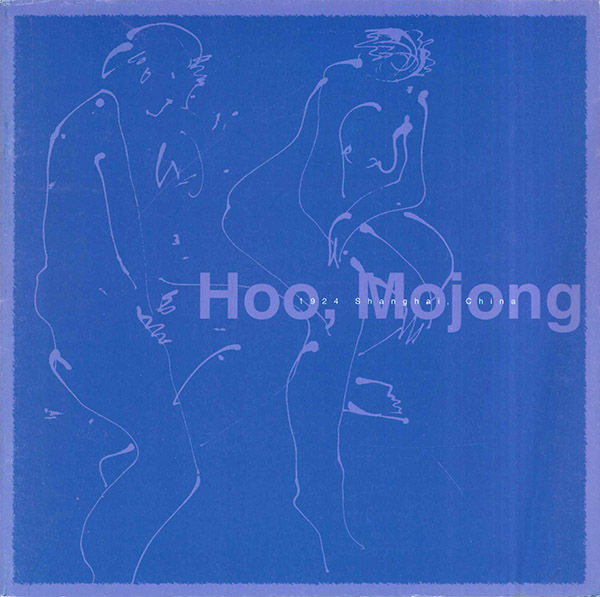 Published in conjunction with the exhibition "Hoo Mojong, Figure Studies" held at Alisan Fine Arts in 2000 as part of Le French May. Includes a foreword by Zhou Yuejia in Chinese. 19 colour plates, 20 pages, soft cover. 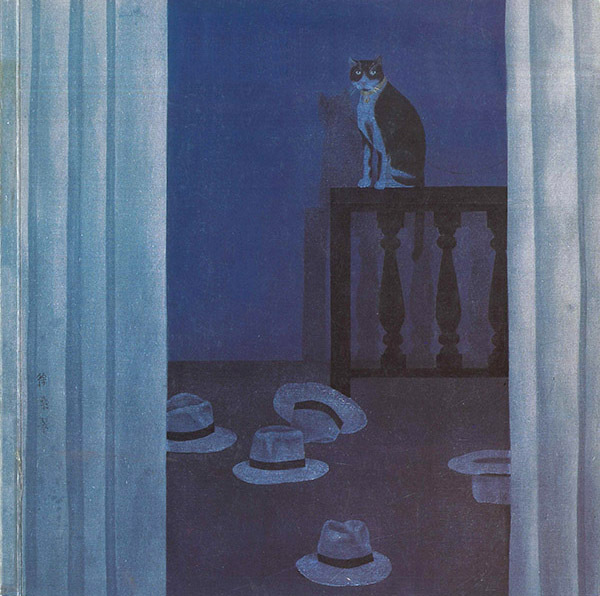 Published in conjunction with the exhibition "The Odyssey of a Chinese Woman Artist - Oil Paintings by Hoo Mojong" held at Alisan Fine Arts in 1996, and was originally shown at the Shanghai Art Museum. Includes a foreword by Alice King, Director of Alisan Fine Arts (Chinese & English), with essays by Shen Roujian, Shanghai Art Association (Chinese), and Gerard Henry (English). 15 colour plates, 24 pages, soft cover. 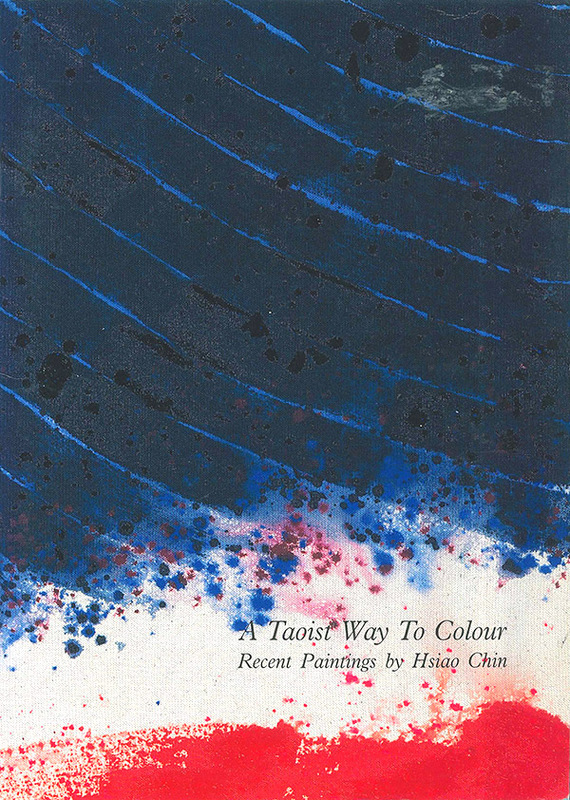 Published in conjunction with the exhibition "A Taoist Way to Colour: Recent Paintings by Hsiao Chin" held at Alisan Fine Arts in 1993. Includes a foreword by Michel Gaudet (English) and an essay by Gu Shiyong, Researcher of Provencial Art Museum in Taichung (Chinese). 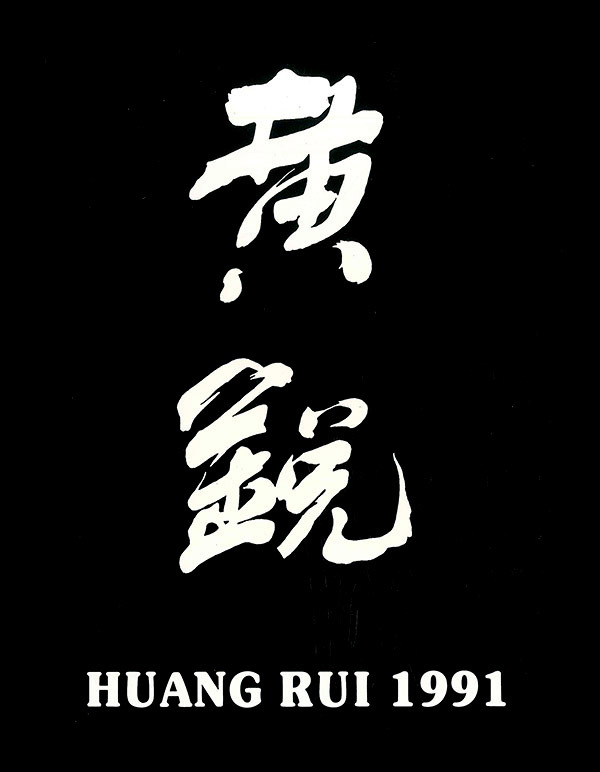 Published in conjunction with the exhibition "Huang Rui" held at Alisan Fine Arts in 1991. 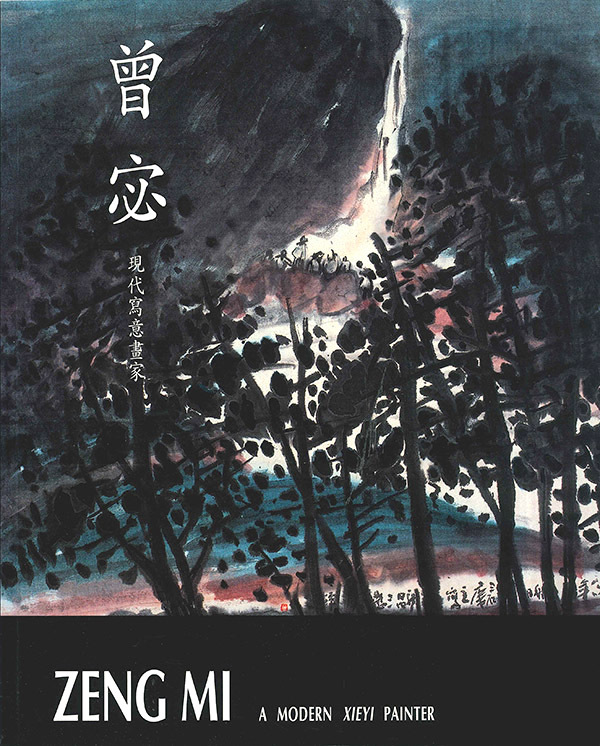 Includes an extract of an article written by Japanese art critic Takami Akihiko and poem by Professor Ooka Makoto (both translated into Chinese & English). 8 colour plates, 16 pages, soft cover. 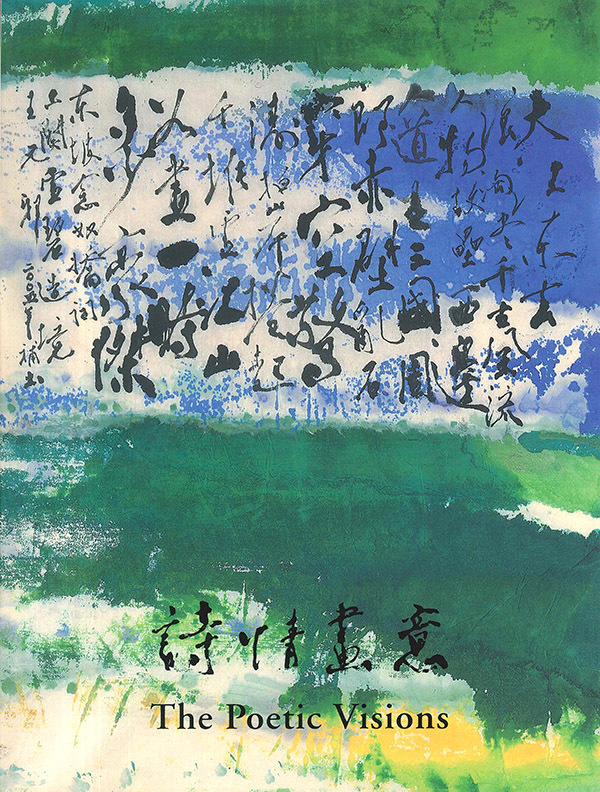 Published in conjunction with the exhibition "New Landscapes: An Exhibition of Painting, Calligraphy, Poetry by Pat Hui" at Alisan Fine Arts in 1993. Includes an introduction by Wucius Wong and an essay by Pat Hui. All content in Chinese and English. 10 colour plates, 32 pages, soft cover. 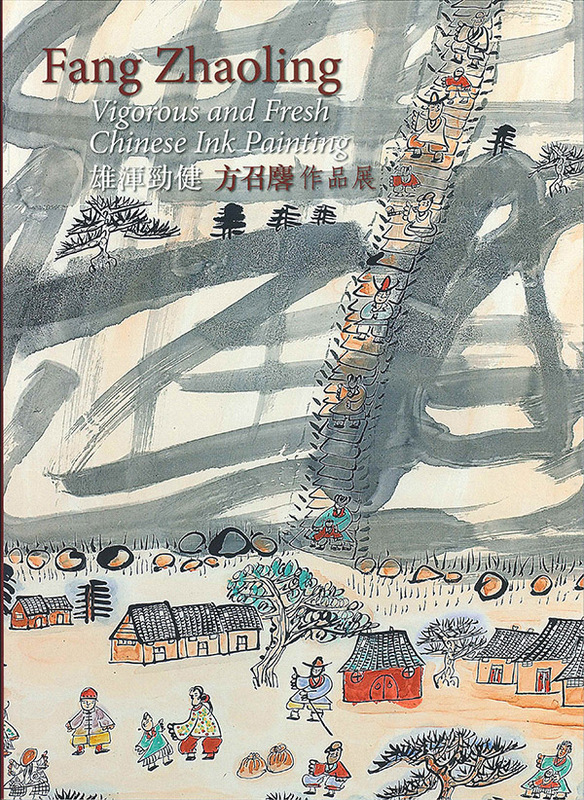 Published in conjunction with the Le French May exhibition "Painting & Calligraphy: New Visions - Recent Work by Jiang Dahai" at Alisan Fine Arts in 2006. 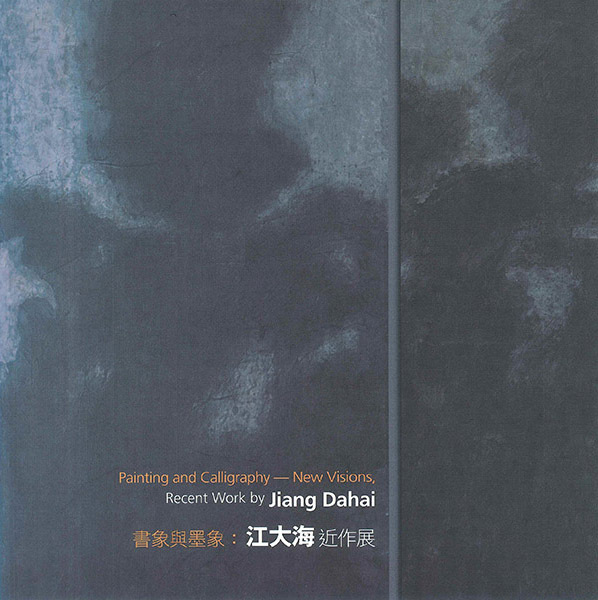 Includes a foreword by Alice King, Director of Alisan Fine Arts, an interview with Jiang Dahai, and excerpts from the opening ceremony and symposium of Jiang Dahai's exhibition at the National Art Museum of China, Beijing, by Pan Gongkai, Fan Di'an, Shui Tianzhong, Shao Dazhen. All content in Chinese and English. 27 colour plates, 36 pages, soft cover. 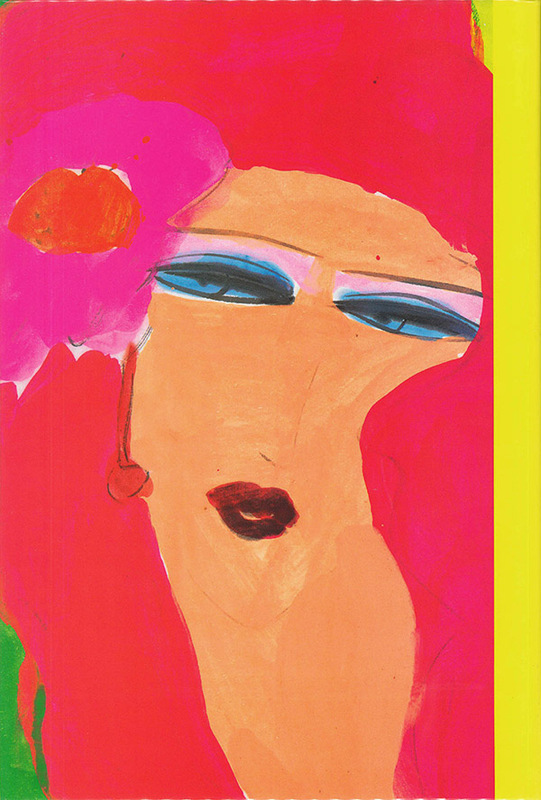 Published in conjunction with the joint exhibition "Sketches" featuring works by Wang Dalin and Jiao Xiaojian. Includes a foreword by Alice King, Director of Alisan Fine Arts (English), and an essay by Xujiang (Chinese). 7 colour plates, 8 pages, soft cover. 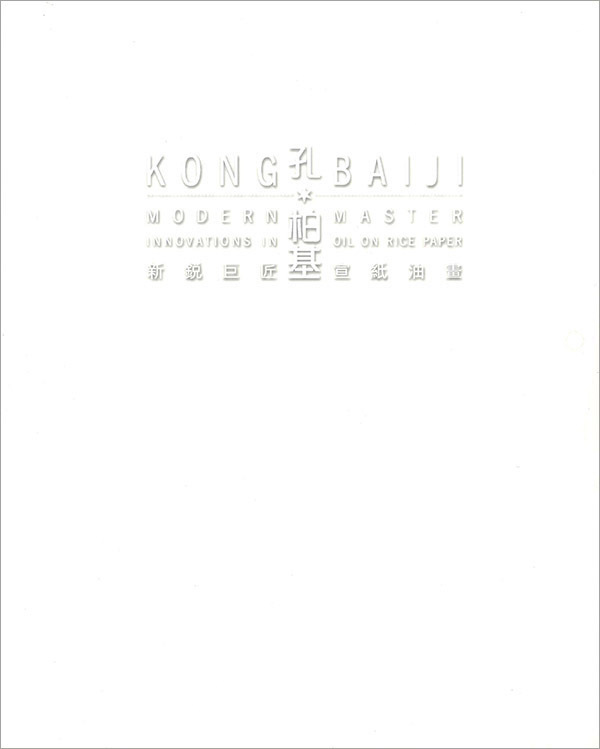 Published in conjunction with the exhibition "Kong Baiji: Modern Master, Innovations In Oil On Rice Paper" held at Alisan Fine Arts in 2006. Includes a foreword by Alice King, Director of Alisan Fine Arts, and an essay by Chen Xiejun. All content in English & Chinese. 30 colour plates, 44 pages, soft cover. Published in conjunction with the exhibition "Leng Hong: Douce France" held at Alisan Fine Arts in 1994. Includes an essay by artist Leng Hong in Chinese, and Sophie Orloff in English. Published in 2016 in conjunction with Li Dezhuang solo exhibition in Hong Kong at Alisan Fine Arts. 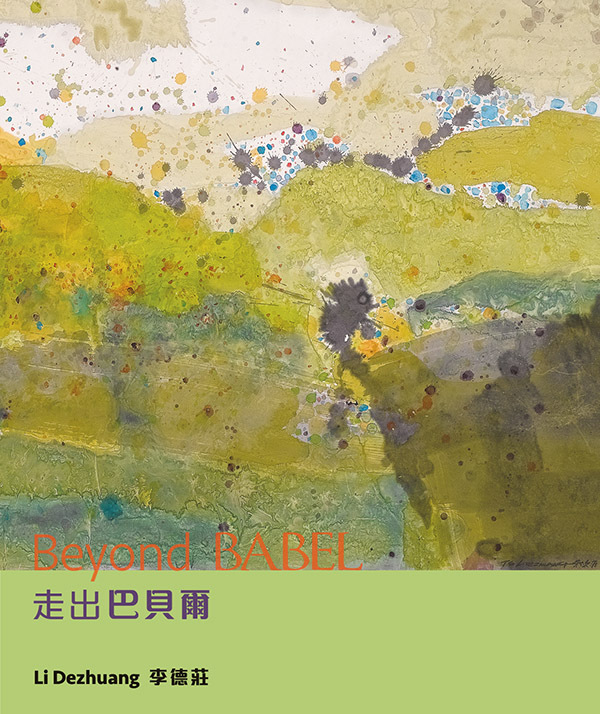 Includes a foreword by Daphne King Yao, Director of Alisan Fine Arts, (Chinese & English) and articles by Alice King, Director of Alisan Fine Arts, (Chinese & English) and Professor Pan Yaochang, Chinese Art Historian & author of "Beyond Babel" (Chinese). 12 colour plates, 40 pages, soft cover. 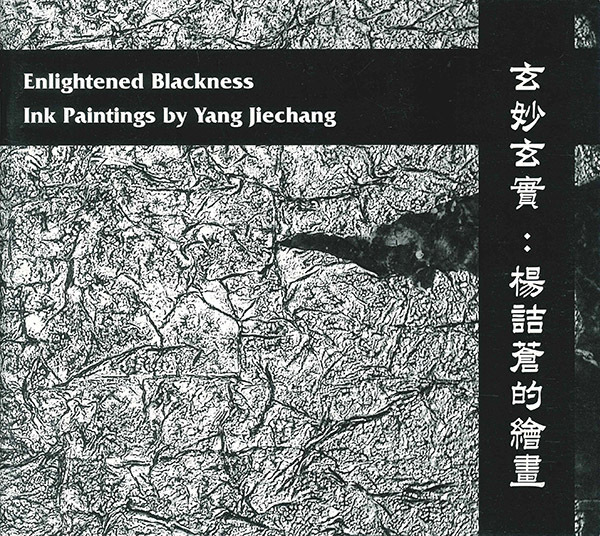 Published in conjunction with the exhibition "Building the ’Rouge Empire’, Paintings from 1976 to 1992" at the Hong Kong Arts Centre, 13-21 October 1994. Includes a foreword by Alice King, Director of Alisan Fine Arts, and essay by Wu Liang. All content in Chinese and English. 40 colour plates, 64 pages, soft cover. 40 colour plates, 40 pages, soft cover. Published in conjunction with the exhibition "Liu Jian: Europe in My Mind" held at Alisan Fine Arts in 1997. Includes an essay in Chinese by Zhou Yuejia. 9 colour plates, 14 pages, soft cover. 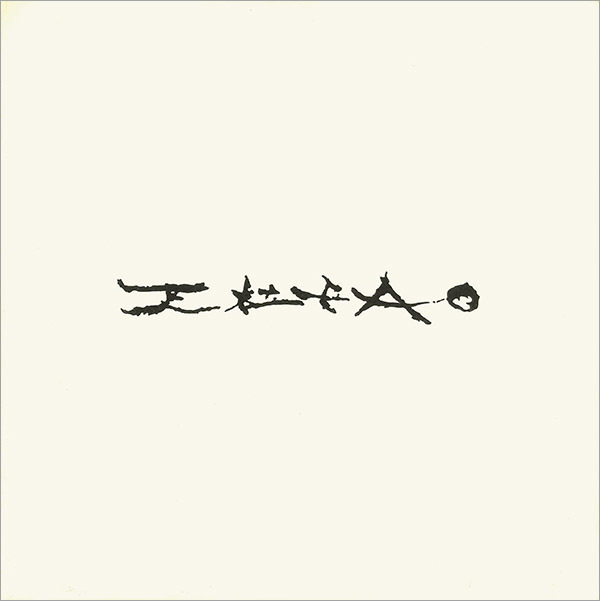 Published in conjunction with Liu Jian's first solo exhibition in New York, USA in 1992. Includes introductions by Nicholas Bradbury (English), and Lu Yuye (Chinese). 10 colour plates, 16 pages, soft cover. Published in conjunction with the exhibition "Liu Jian: Homecoming" held at Alisan Fine Arts in 1999. Includes an essay in Chinese by Tan Genxiong. 16 colour plates, 12 pages, soft cover. 13 colour plates, 28 pages, soft cover. 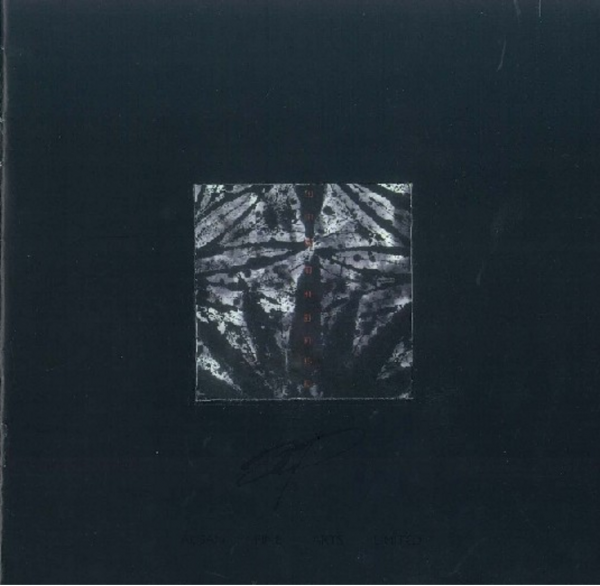 Catalogue of solo exhibition by Liu Jian, featuring his sunflower paintings created around 1995. With artist biography. 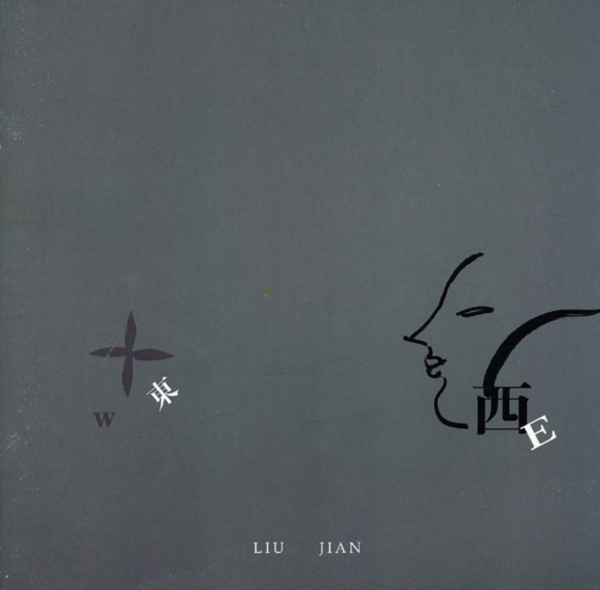 Published in conjunction with Lu Fusheng's exhibition at Alisan Fine Arts in 1995. 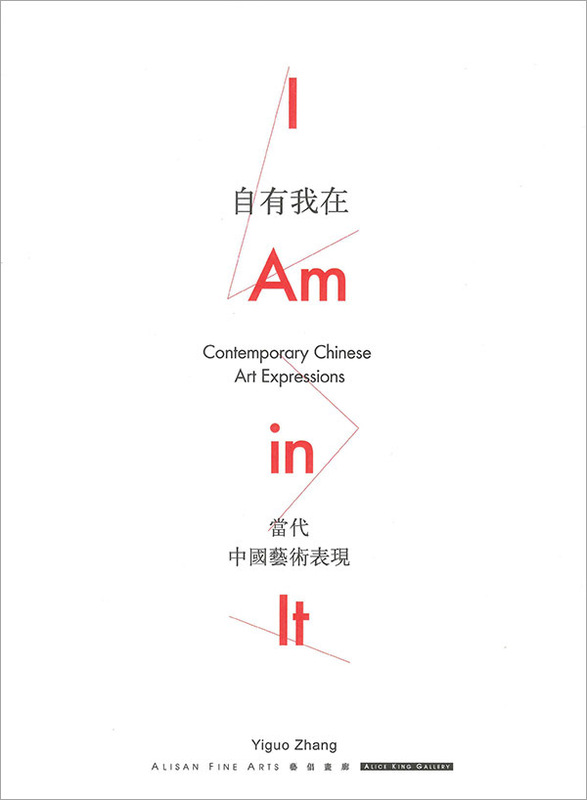 Includes a foreword (Chinese & English) by the artist, essays Chinese) by Shao Qi, Xu Longlin as well as an introduction (English) by Alice King, Director of Alisan Fine Arts. Published in 2013 for Lui Shou-kwan's solo exhibition at Fine Art Asia, Hong Kong. Includes a preface (English & CHinese) by Alice King and an essay (English) by Professor Michael Sullivan. 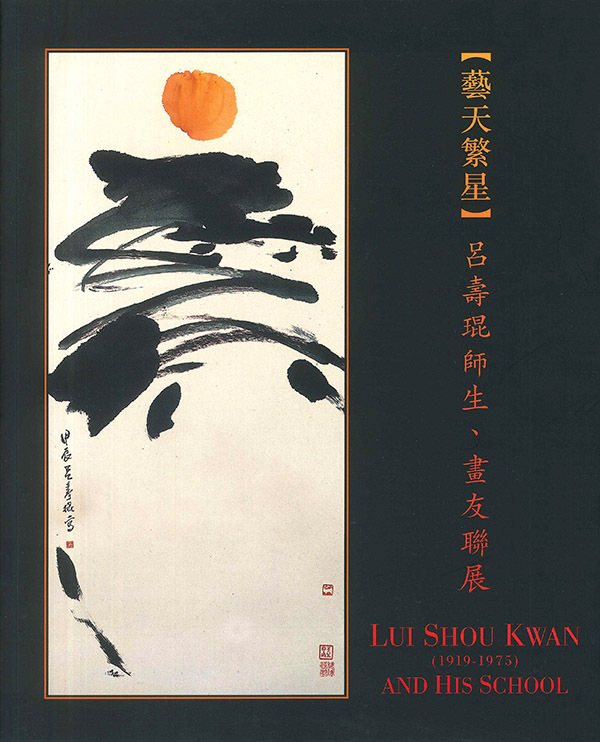 Published in conjunction with the exhibition "Lui Shou-kwan (1919-1975) and His School" held at the Hong Kong Arts Centre and Alisan Fine Arts in 1995. Includes a foreword by Alice King, and an introduction by Mayching Kao. All content in Chinese and English. 45 colour plates, 88 pages, soft cover. 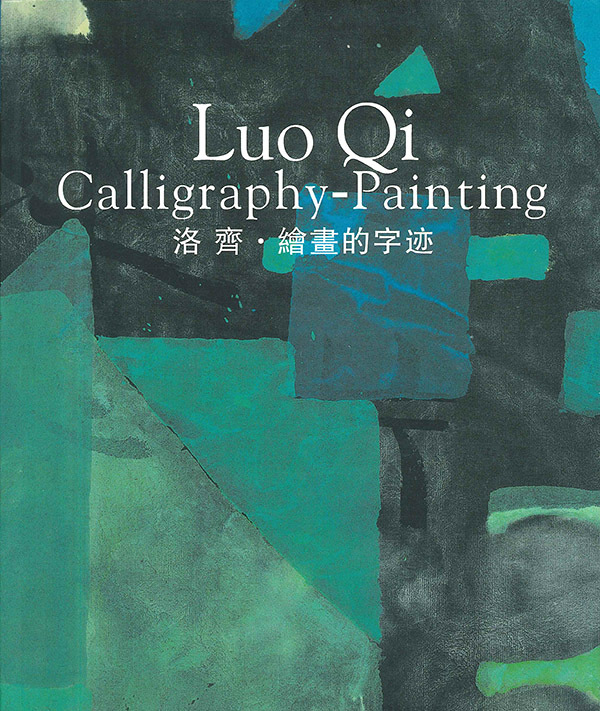 Published in conjunction with the exhibition "Luo Qi: Calligraphy-Painting" held at Alisan Fine Arts in 2006. Includes a foreword by Alice King and an essay by Professor Lars Berglund. All content in Chinese and English. 145 colour plates, 262 pages, soft cover. 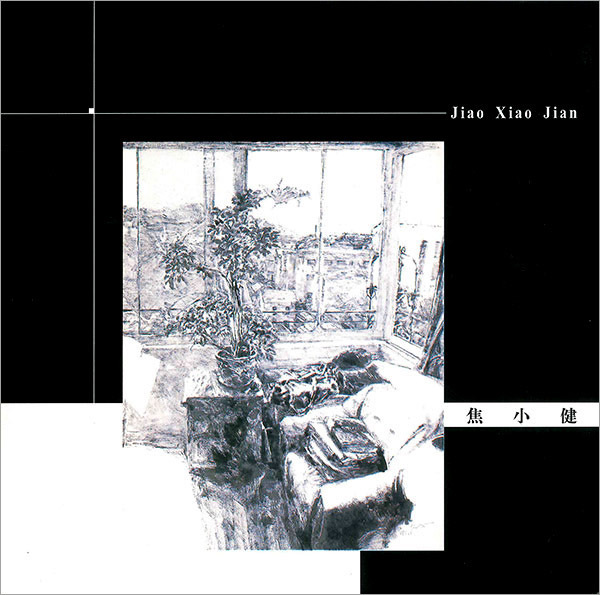 Published in conjunction with Peng Xiancheng's exhibition in Singapore and Hong Kong in 1994. 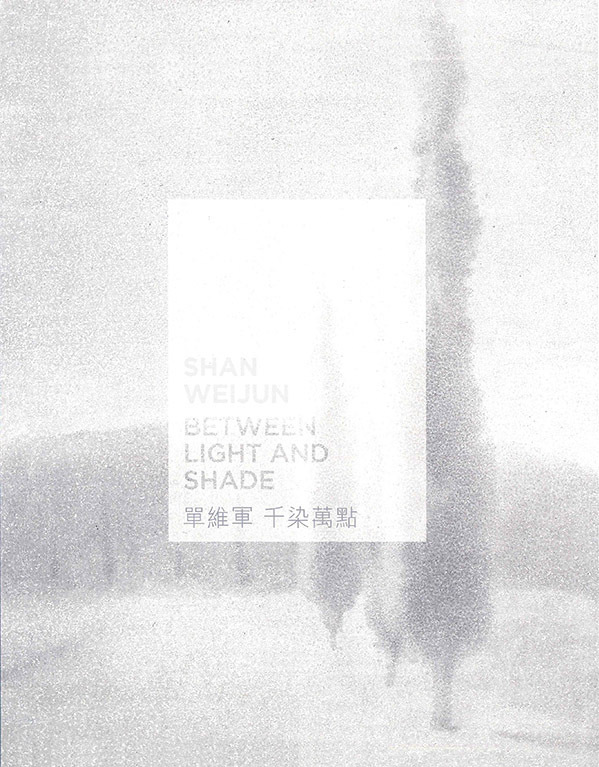 Includes an essay (English and Chinese) by Suen Meilan, Art Critic and Professor at the Central Academy of Fine Arts in Beijing as well as an article (Chinese) by the artist. 39 colour plates, 52 pages, soft cover. The exhibition “Shan Weijun - Between Light and Shade” marks Alisan's 26th year of collaborative exhibition with Le French May Cultural Festival and features 21 new works by Shan Weijun, a talented ink artist from Jiangsu Province who has lived and worked around Paris since his enrollment at the Visual Arts Department of the University of Paris in 1991. Shan's work is unique in bringing together the influences of both East and West, drawing inspiration from masters of pointillist style coming from Chinese literati and Impressionist traditions. Using a primarily monochrome palette Shan meditatively and patiently captures the essence of time standing still in the creation of his static, yet magically dynamic landscapes. 21 colour plates, 60 pages, soft cover. 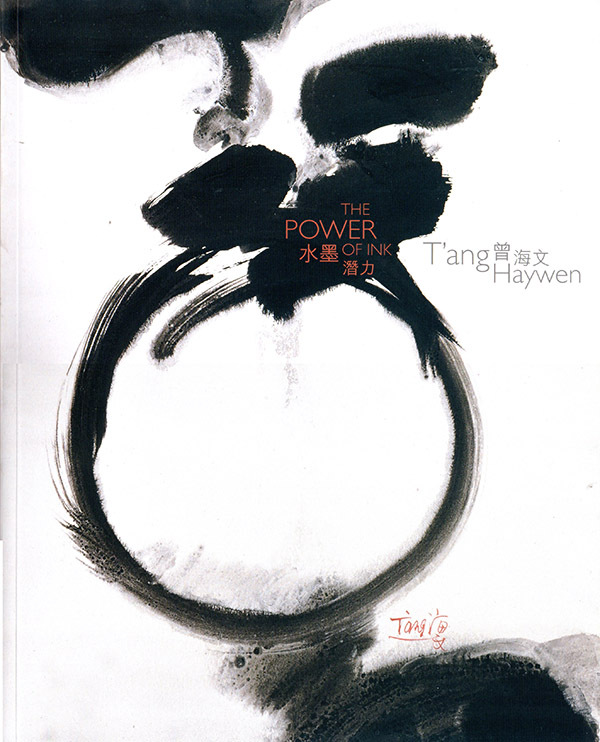 Published in conjunction with the exhibition "Encre/Chine: Ink paintings by Jean Degottex, Gao Xingjian, T'ang Haywen" for the French May 2005 at the University Museum and Art Gallery, The University of Hong Kong. Foreword by Alice King. Essays by art historian Xing Xiaosheng and Jean-Paul Desroches, curator of Musée National des Arts Asiatiques-Guimet. All content in Chinese and English. 36 colour plates, 60 pages, soft cover. 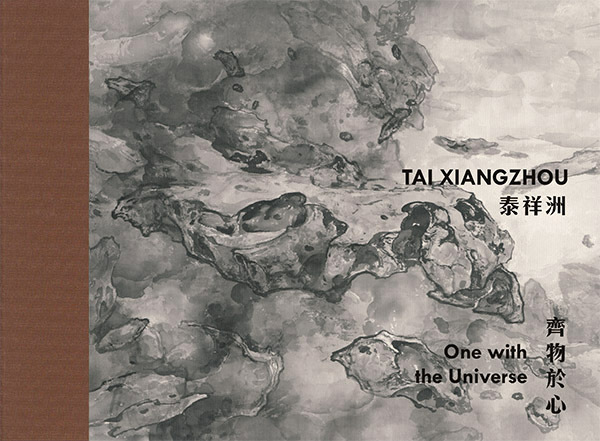 Published in conjunction with the exhibition "Tai Xiangzhou & Zhang Yirong: One with the Universe" held in 2017 at Alisan Fine Arts. 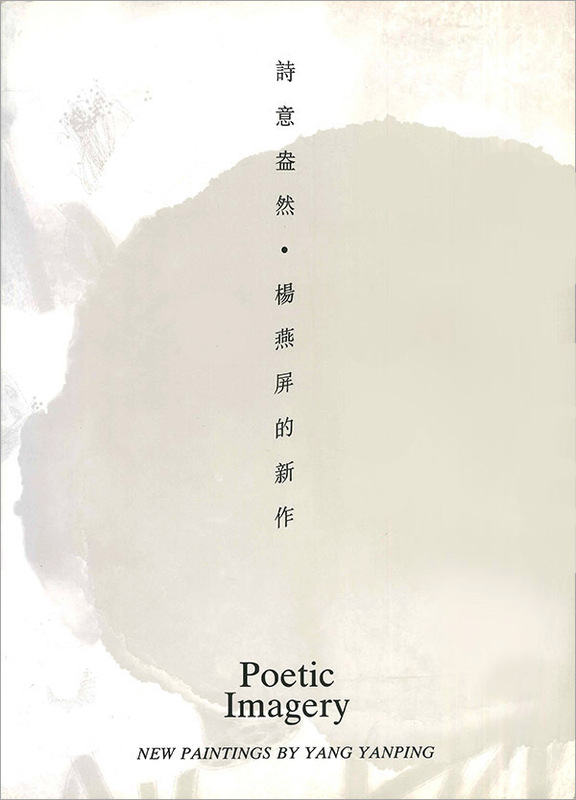 Includes a foreword by Daphne King Yao, Director of Alisan Fine Arts, artist's statements by Tai Xiangzhou and Zhang Yirong, and poems from the works. All content in Chinese and English. 23 colour plates, 63 pages, soft cover. Published in 2007 in conjunction with Richard Texier's first solo show in Hong Kong for Le French May at Alisan Fine Arts. Includes foreword by Alice King and an article by Zao Wou-ki and Daniel Pennac. All content in Chinese and English. 17 colour plates, 44 pages, soft cover. 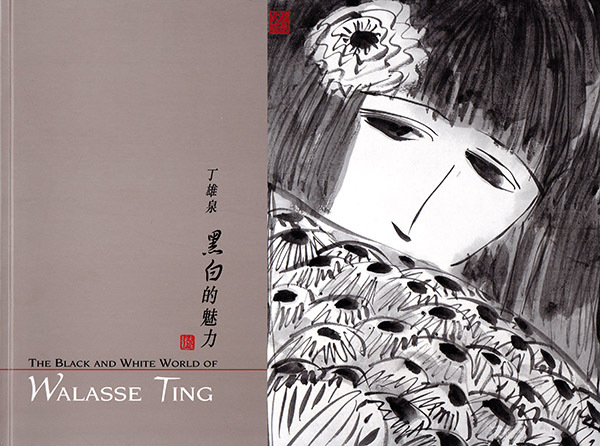 Published in 2001 in conjunction with Walasse Ting’s solo exhibition in Hong Kong at Alisan Fine Arts. Includes a foreword (English) by Alice King and an article (Chinese) by Mr. Chen Long, Vice-Director of the Shanghai Art Museum. 23 colour plates, 24 pages, soft cover. 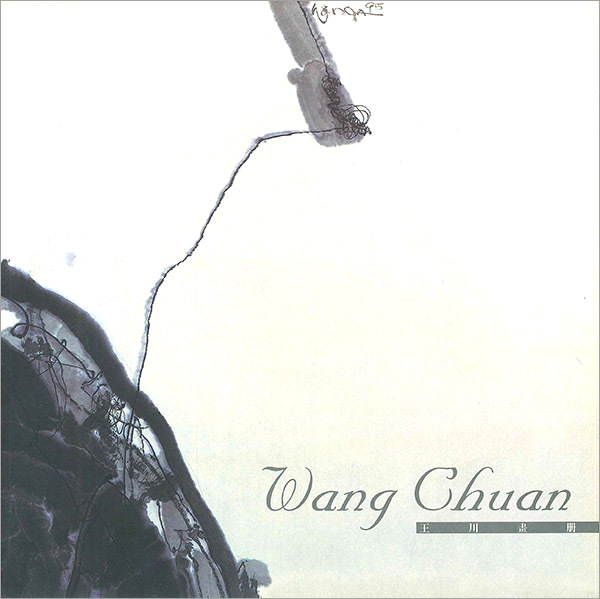 Featuring Wang Chuan’s Abstract Paintings from 1986-2000. Includes an introduction by Alice King. All content in Chinese and English. 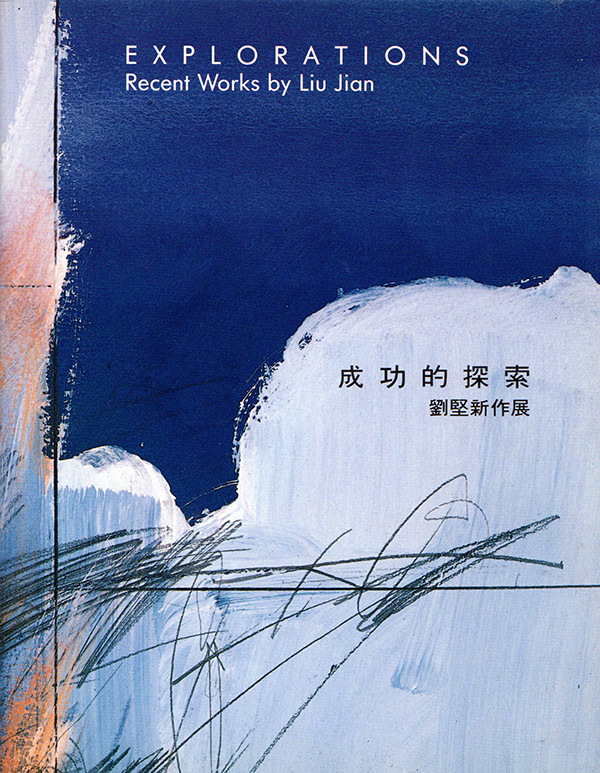 Published in conjunction with the joint exhibition "Sketches" featuring works by Wang Dalin and Jiao Xiaojian in 2000. Includes a foreword by Alice King in Chinese and English. 11 colour plates, 12 pages, soft cover. 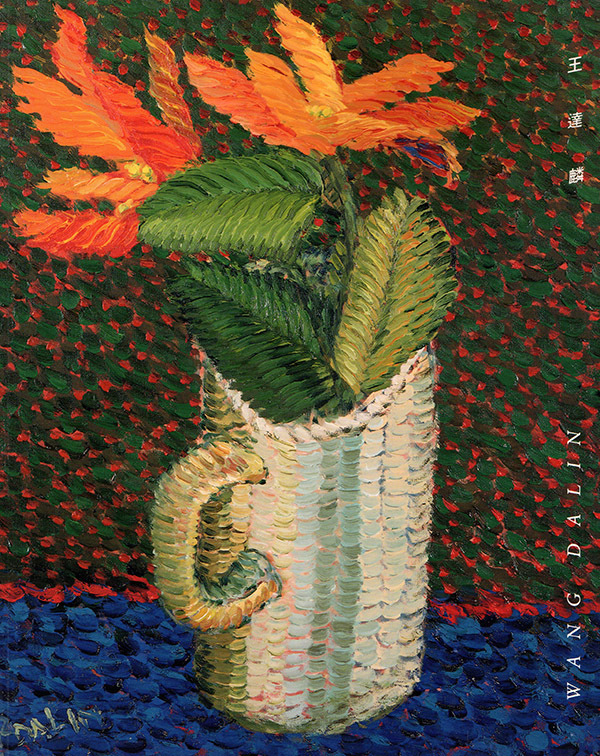 Featuring Wang Dalin's colourful works on canvas. Published in conjunction with his show in 1993. 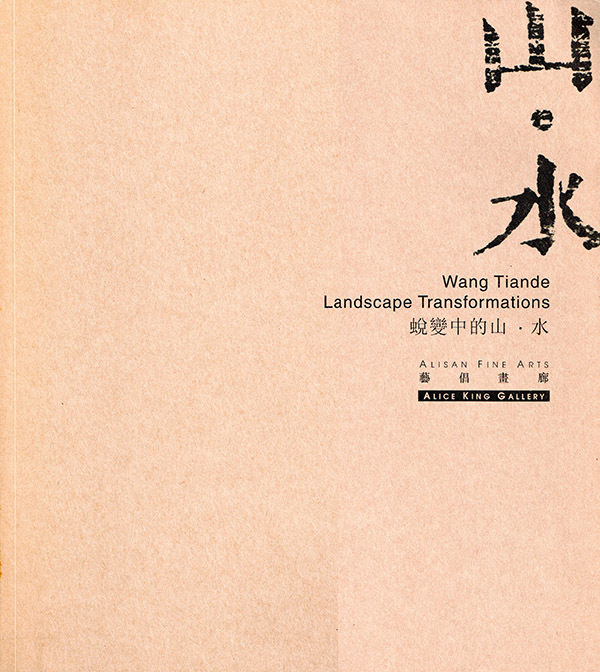 Foreword ( English and Chinese) by Alice King, Director of Alisan Fine Arts, with artist statement (Chinese) by Wang Dalin. Published in conjunction with the exhibition "Wang Mengsha - Gardens" held in 2016 at Alisan Fine Arts. Includes a foreword by Daphne King Yao, Director of Alisan Fine Arts, and an essay by Fu Xiaodong. All content in Chinese and English. 11 colour plates, 38 pages, soft cover. 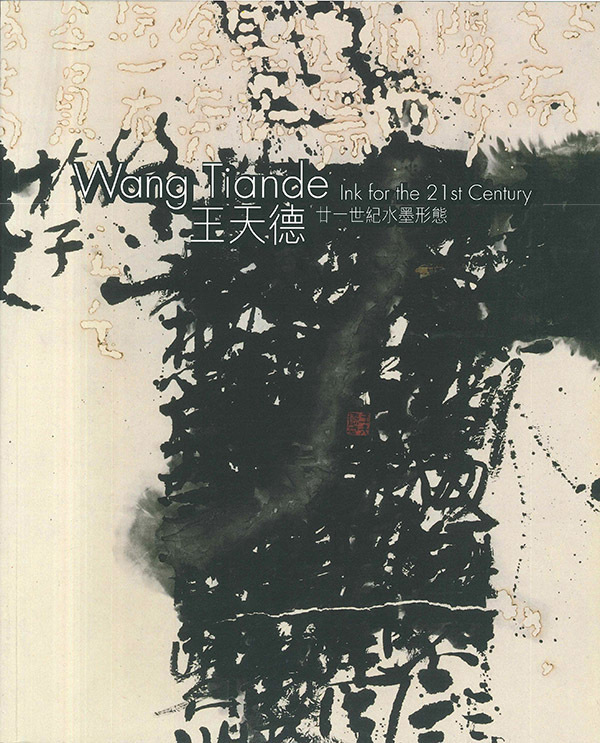 Published in conjunction with the exhibition "Wang Tiande: Ink for the 21st Century" held at Alisan Fine Arts in 2003. Includes a foreword (Chinese & English) by Alice King, Director of Alisan Fine Arts, and an essay (Chinese) by Fan Di'an. 28 colour plates, 44 pages, soft cover. 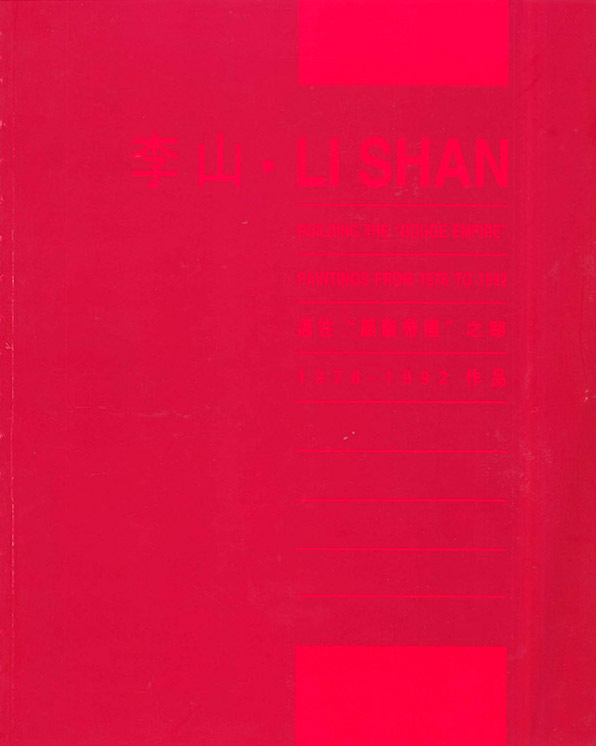 Published in 2007 in conjunction with Wang Tiande’s solo exhibition in Hong Kong at Alisan Fine Arts. 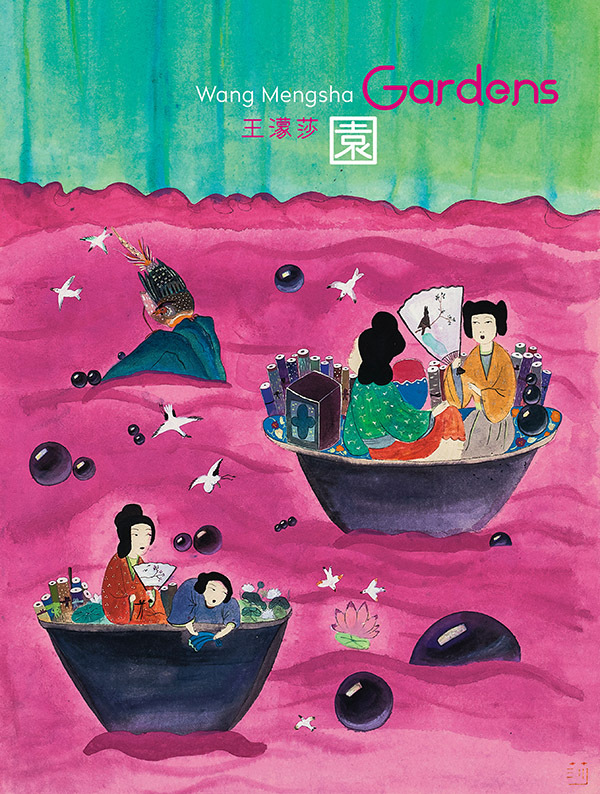 Includes a foreword by Alice King (Chinese & English) and essays by Tina Yee-wan Pang, the University Museum and Art Gallery, The University of Hong Kong (Chinese & English) and Fan Di’an, Director of the National Art Museum in Beijing (English). 45 colour plates, 74 pages, soft cover. Published in 2014 in conjunction with Wang Tiande’s third solo exhibition at Alisan Fine Arts. 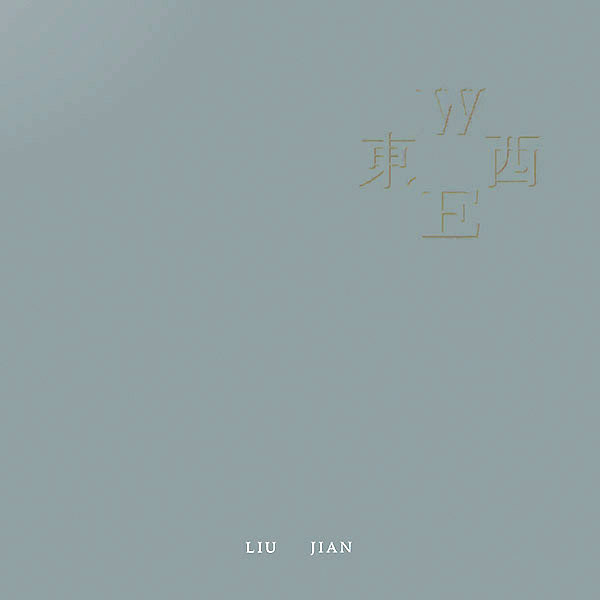 This catalogue consists of a dozen of his most recent works in single sheet format delicately packed with a hard cover folder, foreword by Alice King and excerpts by Liu Yongren, curator of Taipei Fine Art Museum; Gao Minglu, Professor at the University of Pittsburgh & Bai Qianshen, Professor at the Boston University. All content in Chinese and English. 12 colour plates, 20 single pages in folder. 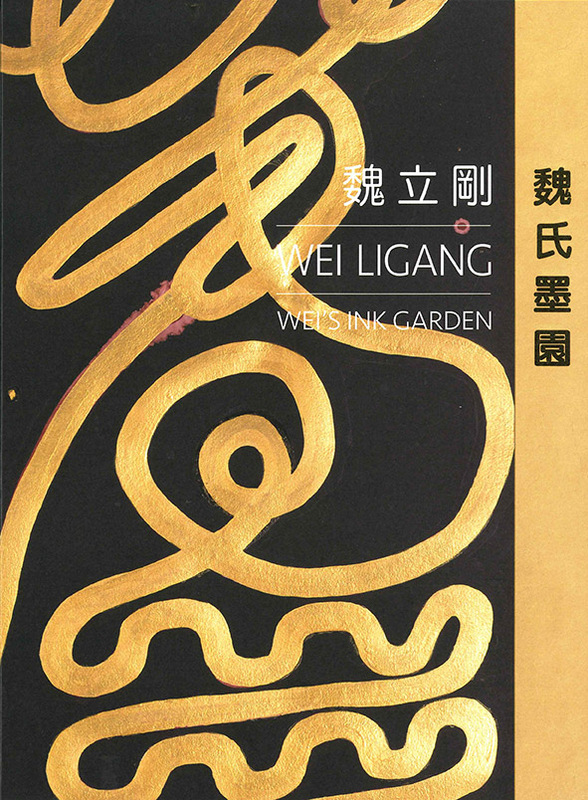 Catalogue published in conjunction with Wei Ligang’s solo exhibition "Wei's Ink Garden — New Works by Wei Ligang". Foreword by Daphne King Yao and article by Ma Qinzhong. All content in Chinese and English. 29 colour plates, 88 pages, soft cover. 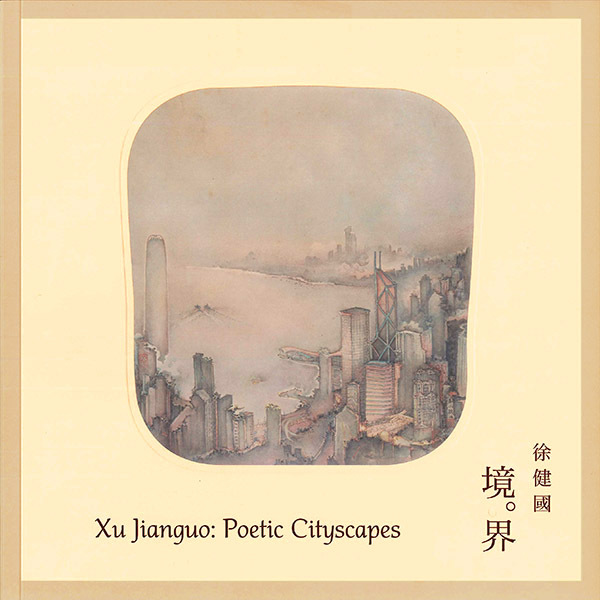 This catalogue, published in conjunction with the September-October 2018 exhibition "Xu Jianguo: Poetic Cityscapes," contains 20 colour plates, foreword by Gallery Director Daphne King, and accompanying essays by the artist Xu Jianguo and Yu Hui, Research Director of the Palace Museum Beijing. "For Mr Xu, everything in the city is as vital to him as the air that he breathes. HIs paintings offer every audience an opportunity to feel his poise and calm amidst artistic passion" (Yu Hui, p 11). All content in Chinese and English. 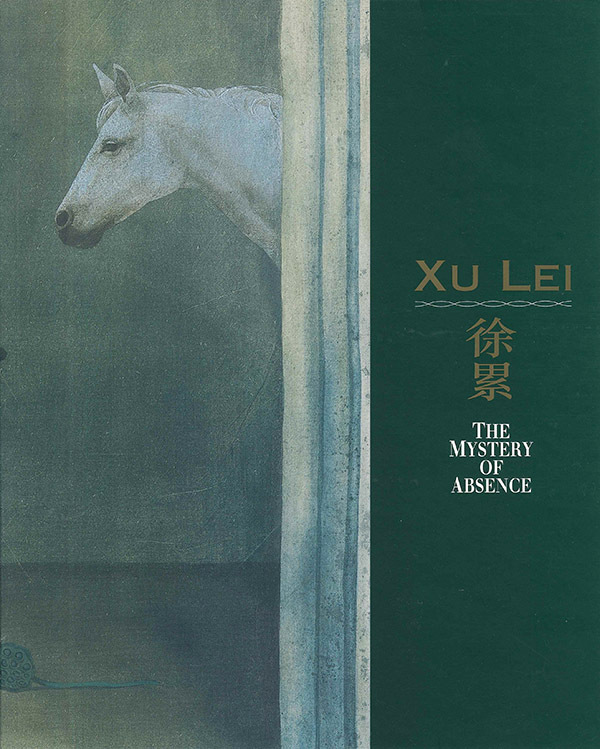 Published in conjunction with the first overseas exhibition for Xu Lei "The Mystery of Absence" held in London by Alisan Fine Arts in 1995. Includes a foreword (Chinese) by Alice King, an essay (English) by Jeffrey Hantover and by Wu Liang (Chinese). 23 colour plates, 60 pages, soft cover. 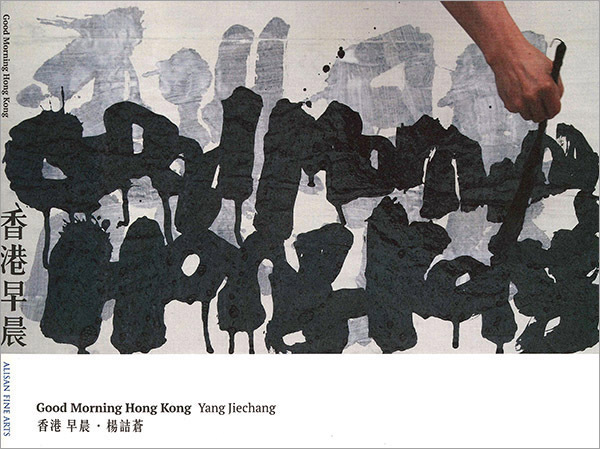 Published in conjunction with Yang Jiechang's first solo show in Hong Kong for Le French May, which was held at the University Museum and Art Gallery of the University of Hong Kong in 2001. 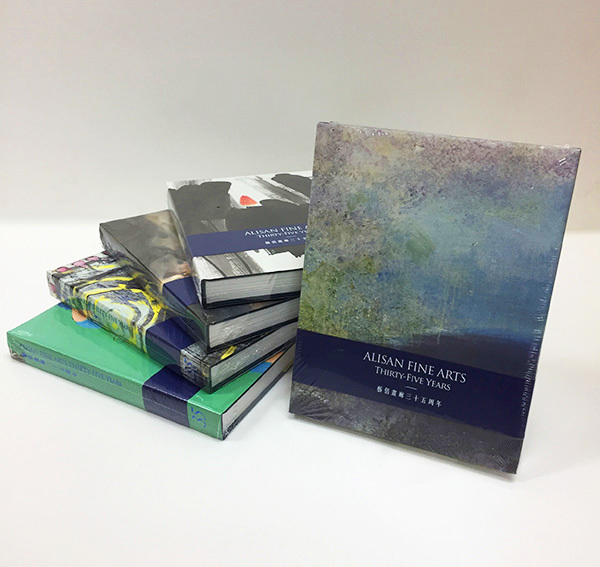 Includes an introduction (Chinese & English) by Alice King, Director of Alisan Fine Arts, a foreword (Chinese & English) by Yeung Chun-tong, Director of University Museum and Art Gallery, The University of Hong Kong, and an essay (English) by Martina Köppel-Yang. 15 colour plates, 20 pages, soft cover. Published in conjunction with the exhibition "Yang Jiechang: Good Morning Hong Kong" for Le French May 2015 at the Hong Kong Central Library. 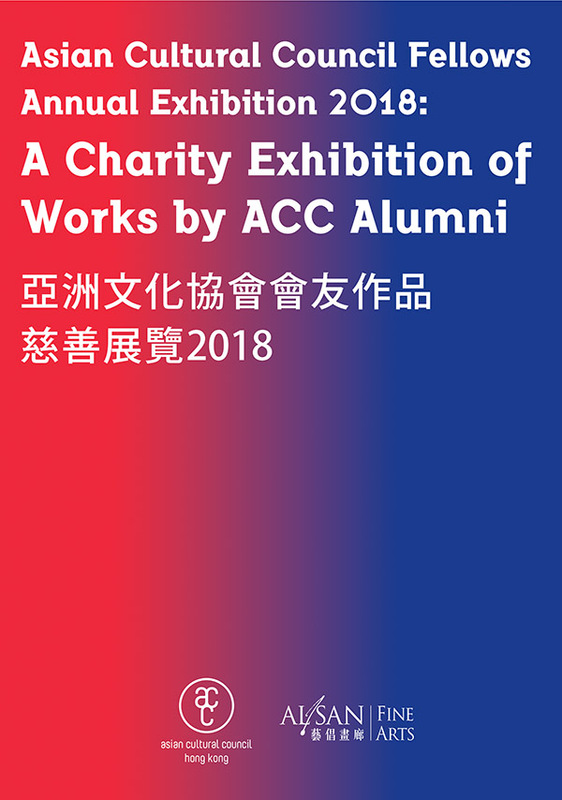 Includes a foreword by Arnaud Barthelemy, Consul General of France in Hong Kong & Macau; Preface by Daphne King Yao, Director of Alisan Fine Arts; as well as a dialogue between curator, Martina Köppel-Yang and artist. All content in Chinese and English. 35 colour plates, 64 pages, soft cover. 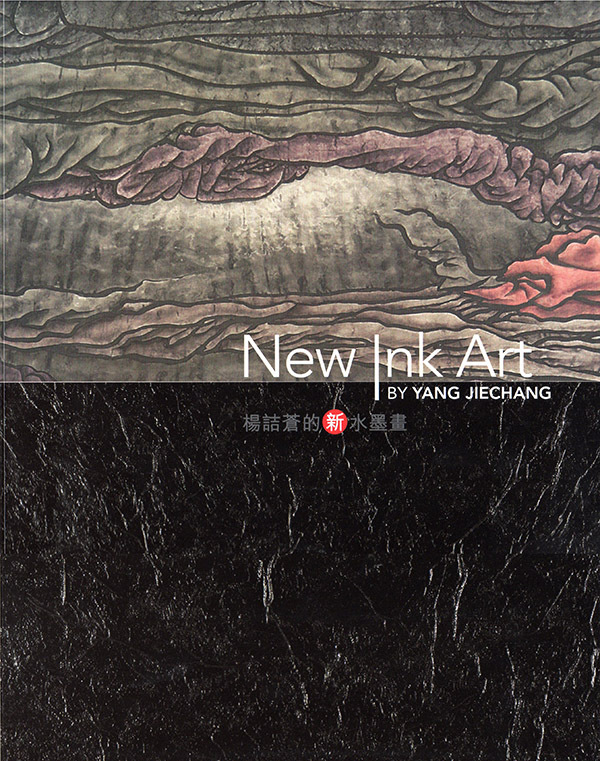 Published in 2010 in conjunction with “New Ink Art”, an exhibition of paintings & installations by 7 International Chinese Artists at the Hong Kong International Art Fair, Hong Kong. Includes excerpts from “Republic of Fritz Hansel – A Dialogue”, Fritz Hansel and Yang Jiechang in English. 25 colour plates, 32 pages, soft cover. 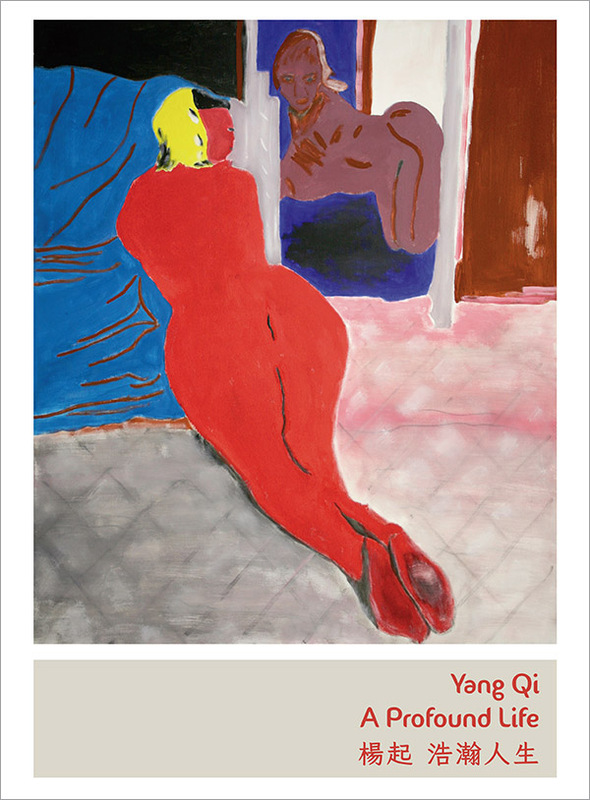 Published in conjunction with the exhibition "Yang Qi: A Profound Life" held in 2017 at Alisan Fine Arts. Includes a foreword by Daphne King Yao, Director of Alisan Fine Arts and an essay by Dr Phil Beate Reinfenscheid, Director of Ludwig Museum. All content in Chinese and English. 31 colour plates, 56 pages, soft cover. 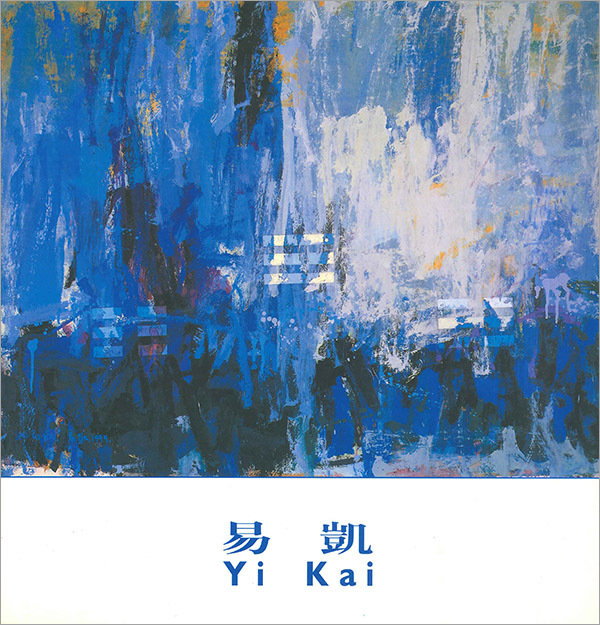 Published in conjunction with the exhibition "Poetic Imagery: New Paintings by Yang Yanping" held at Alisan Fine Arts in 1991. Includes an introduction, in English, by Joan Lebold Cohen. 20 colour plates, 20 pages, soft cover. 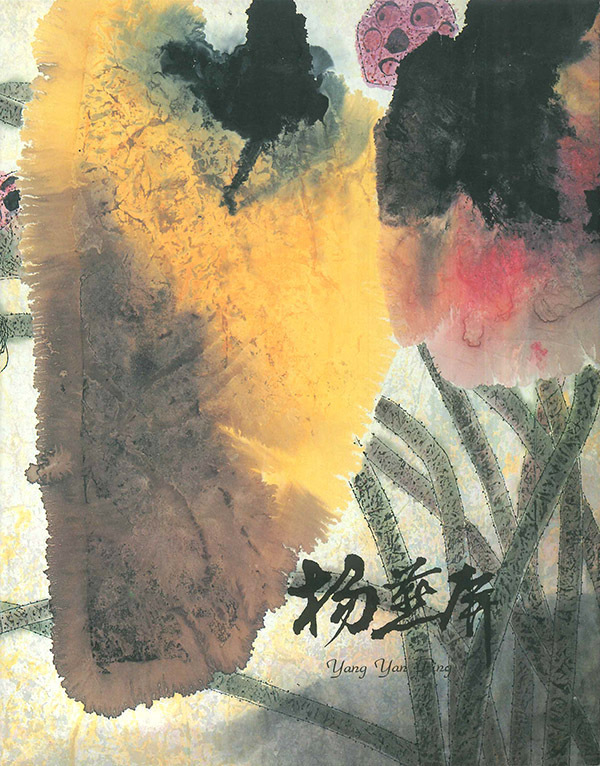 Published in conjunction with the exhibition "Yang Yanping" held at Alisan Fine Arts in 1993. 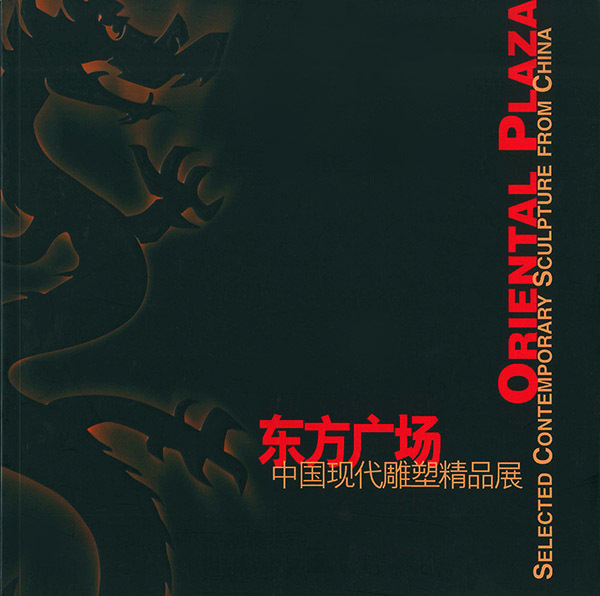 Includes essays by Rhonda Cooper, Director of the Staller Center For the Arts at the University At Stony Brook, New York (English) and Hebei Lunming, art critic from Tokyo (Chinese). 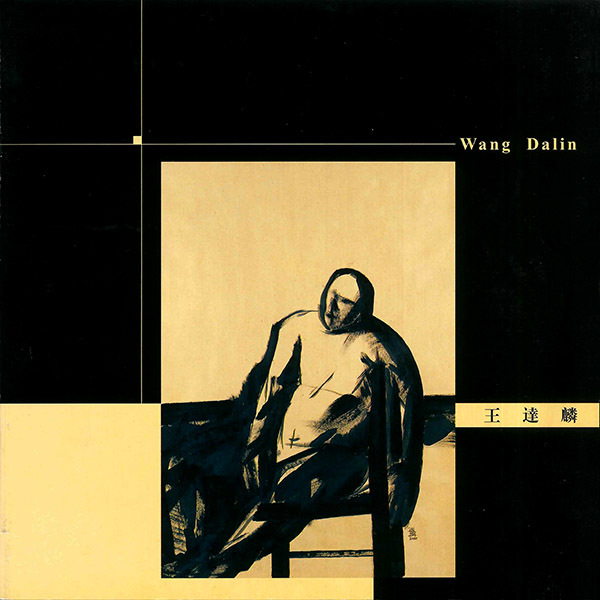 Published in conjunction with the exhibition "Yi Kai: Time, Yin and Yang" held at Alisan Fine Arts in 2000. Includes a foreword by Alice King, Director of Alisan Fine Arts, in Chinese and English. 16 colour plates, 20 pages, soft cover. 46 colour plates, 76 pages, soft cover. 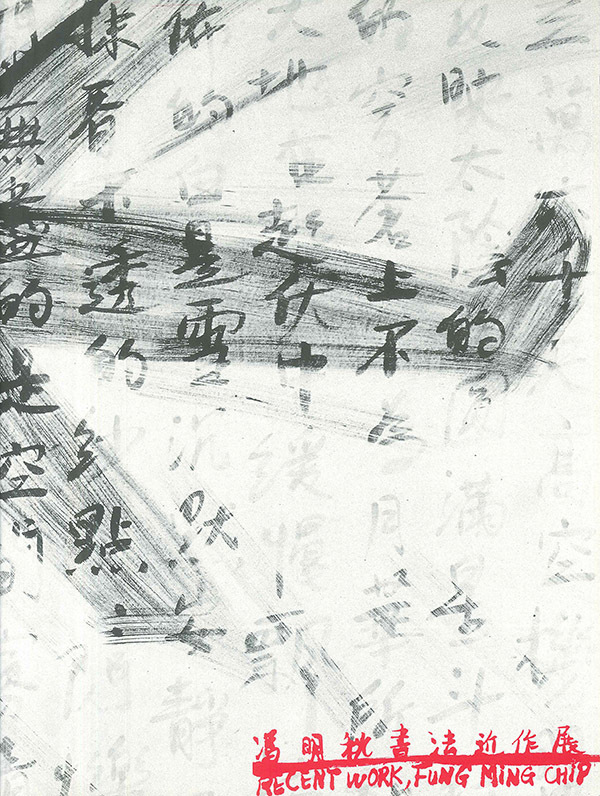 Published in conjunction with the exhibition "Yu Hui and Xu Lei: New Work" held at Browse & Darby in 1997. 11 colour plates, 16 pages, soft cover. 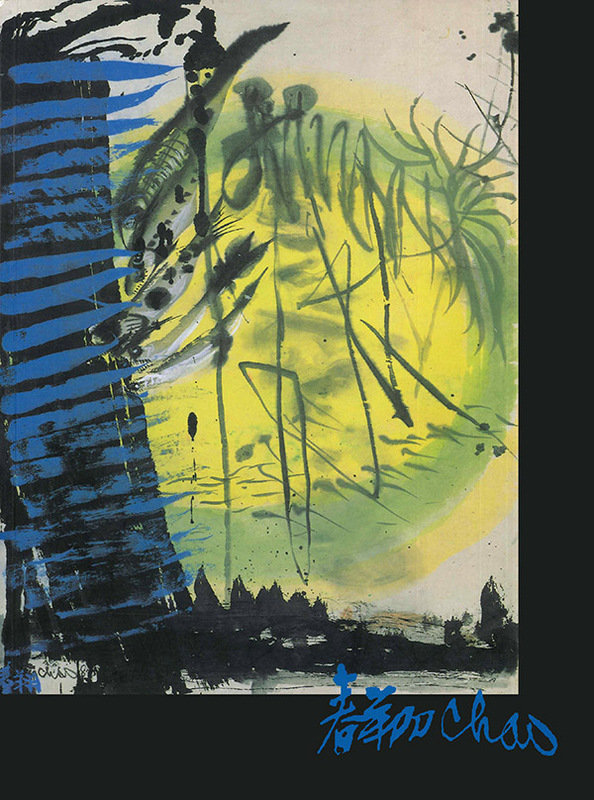 Published in conjunction with the exhibition "Zao Wou-ki" held at Alisan Fine Arts in 2003. Includes a foreword by Alice King (Chinese & English), with an essay by François Cheng (Chinese). 20 colour plates, 52 pages, soft cover. 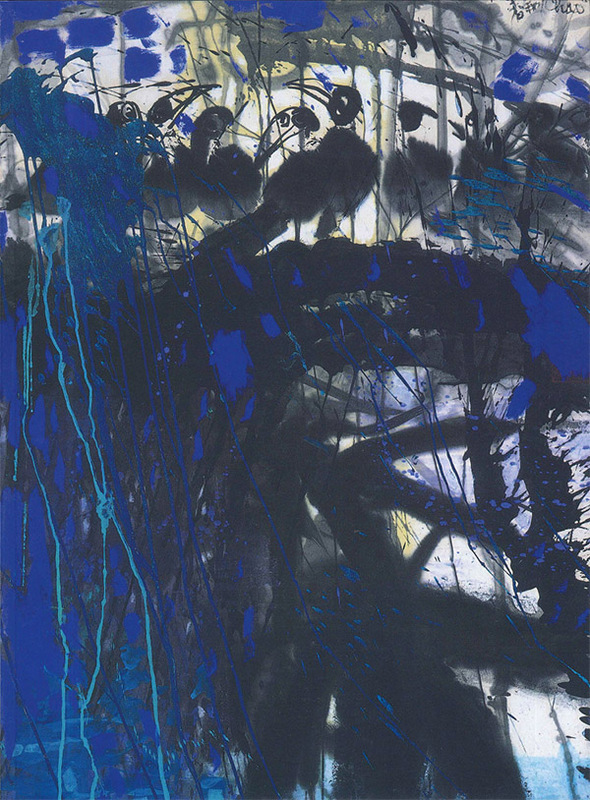 Published in conjunction with the exhibition "Celebrating Zao Wou Ki" for Le French May 2009. 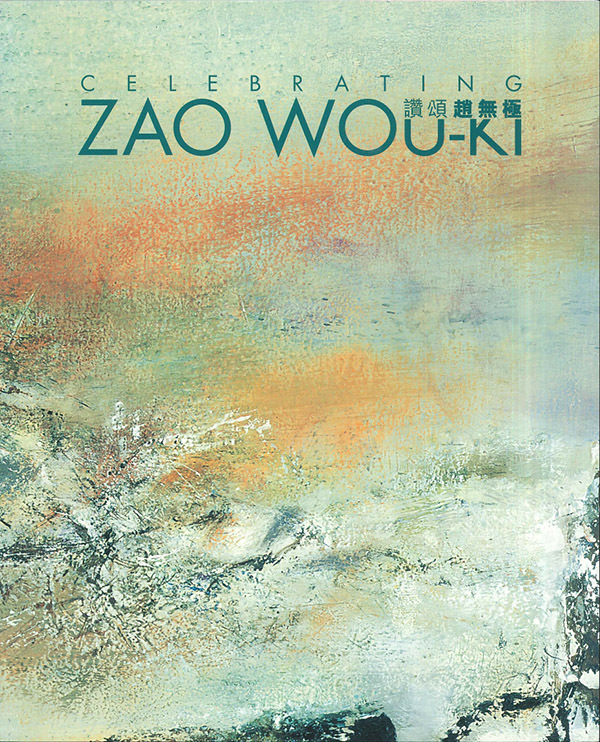 Includes Zao Wou Ki's oil painting, ink painting, watercolour, etching & lithograph, a foreword by Alice King, essays by Francois Cheng and Harold Mok. All content in Chinese and English. 40 colour plates, 52 pages, soft cover. 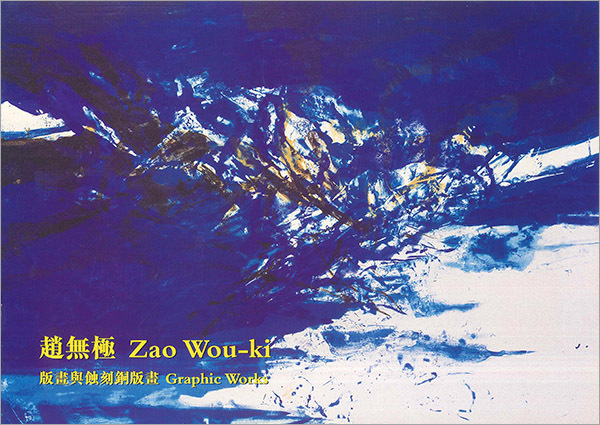 Catalogue includes illustrations of Zao Wou-ki graphic works. 14 colour plates, 7 pages, soft cover. 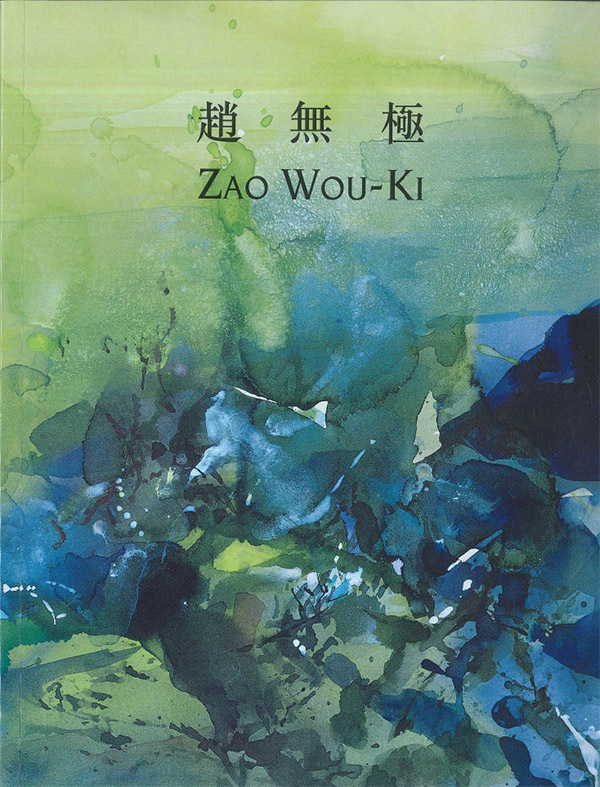 Published in conjunction with the exhibition "Zao Wou-ki: Recent Works" held at Alisan Fine Arts in 1993. Includes an foreword by Alice King, Director of Alisan Fine Arts (Chinese & English) and essay by Shen Zhai (Chinese). 12 colour plates, 16 single sheets in a folder. 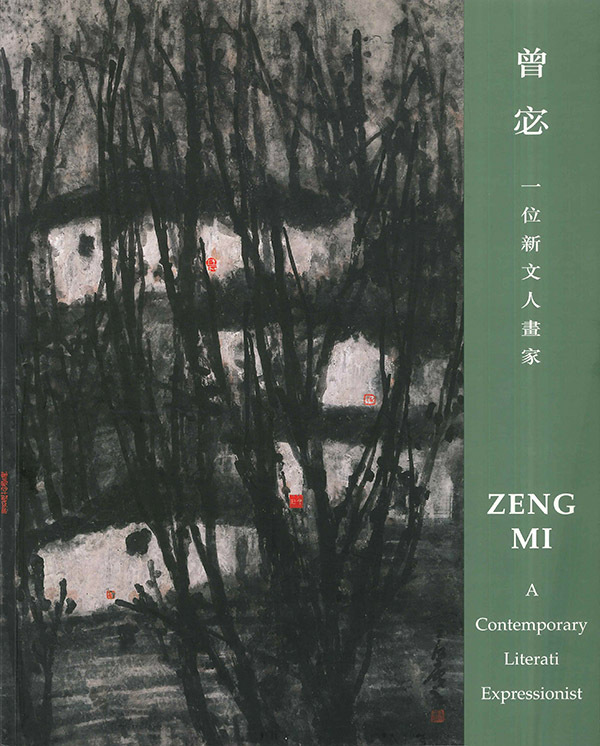 Published in conjunction with the exhibition "Zeng Mi: A Contemporary Literati Expressionist" held at Alisan Fine Arts in 1999. Includes a foreword by Alice King, Director of Alisan Fine Arts (Chinese & English) and an essay by Lars Berglund (English). 33 colour plates, 44 pages, soft cover. 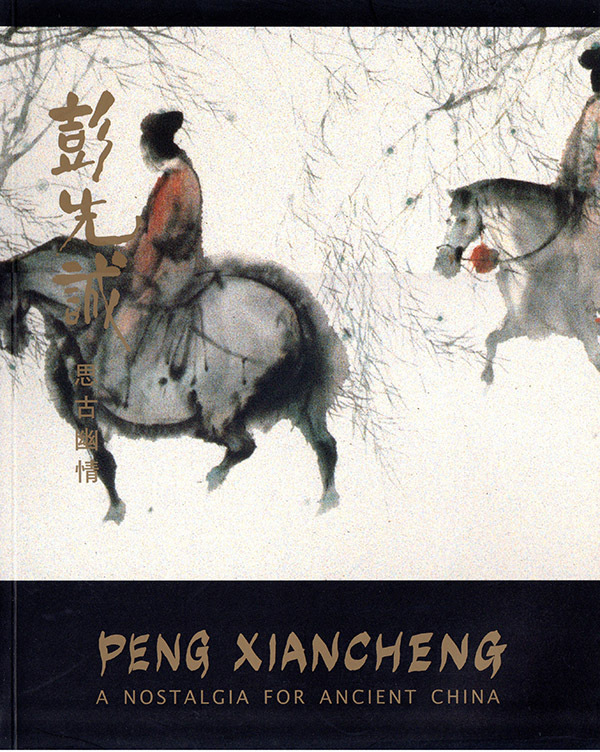 Published in conjunction with the exhibition "Zeng Mi: A Modern Xieyi Painter" held at Alisan Fine Arts in 1994. 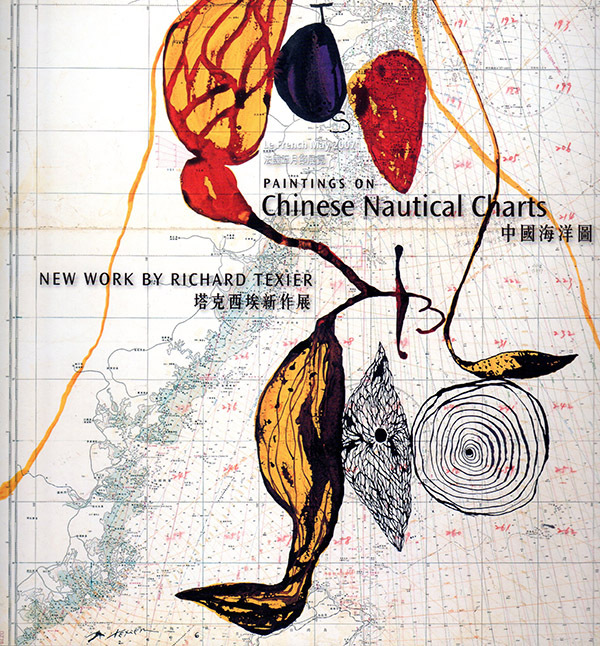 Includes a foreword by Alice King, Director of Alisan Fine Arts (Chinese), with essays by Richard Edwards, Professor Emeritus University of Michigan (English) and artist Zeng Mi (Chinese & English). 46 colour plates, 52 pages, soft cover.